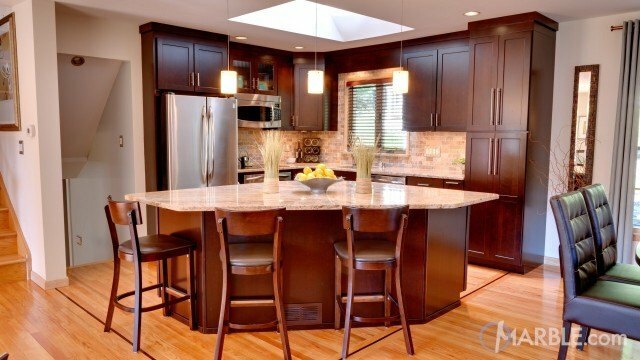 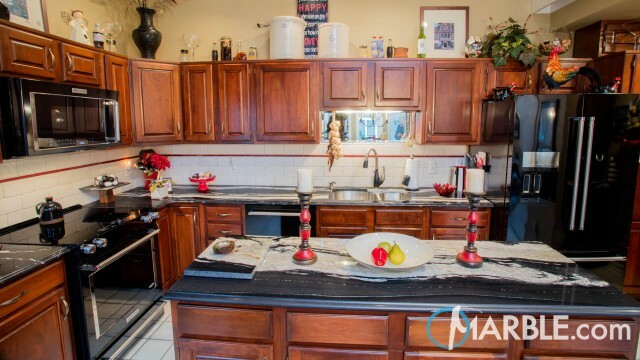 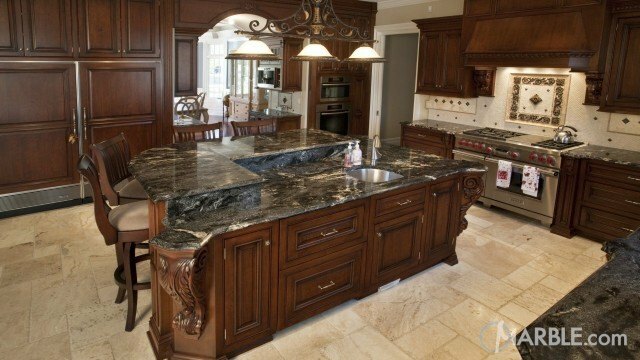 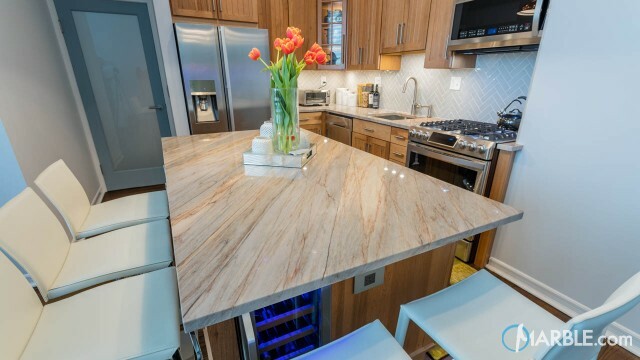 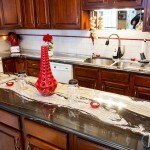 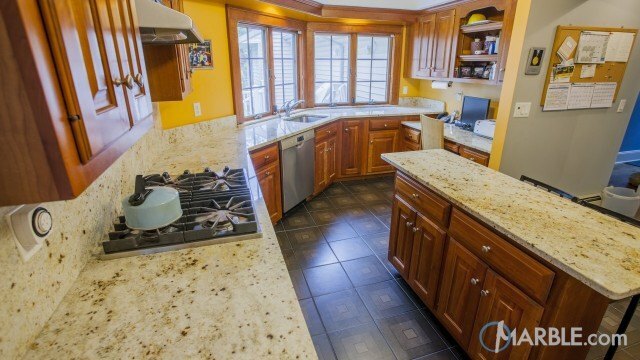 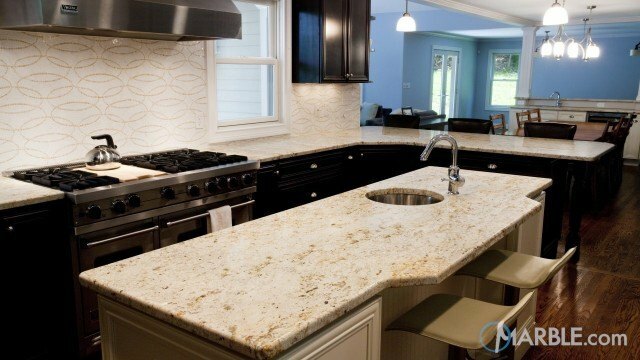 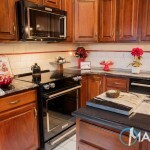 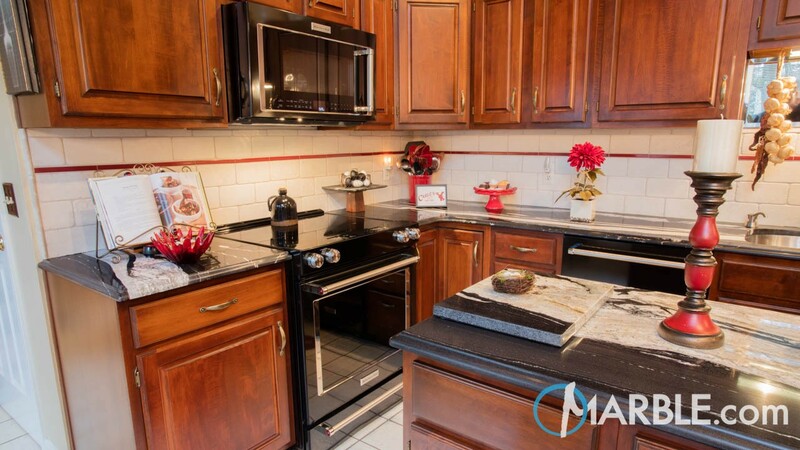 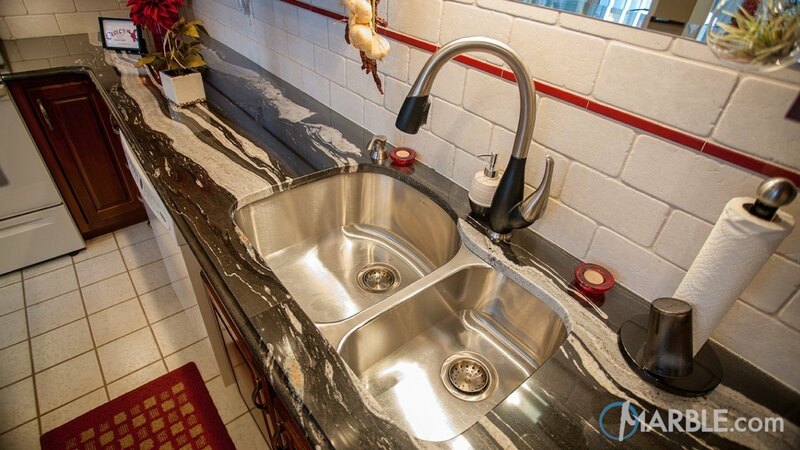 Copacabana granite is a black natural stone with large white lines (veins) running through it. 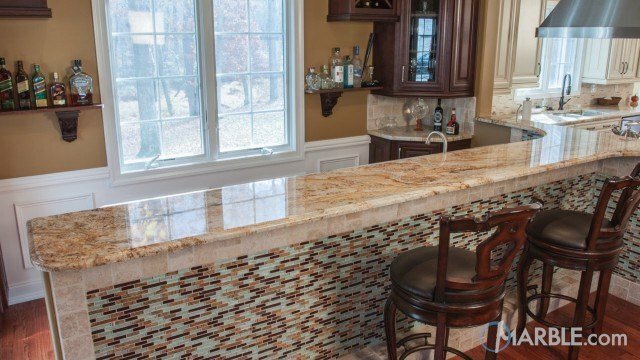 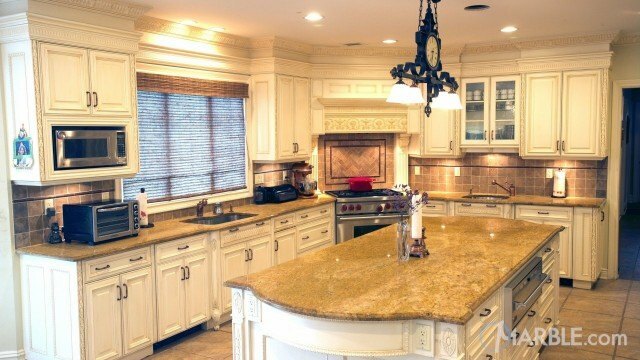 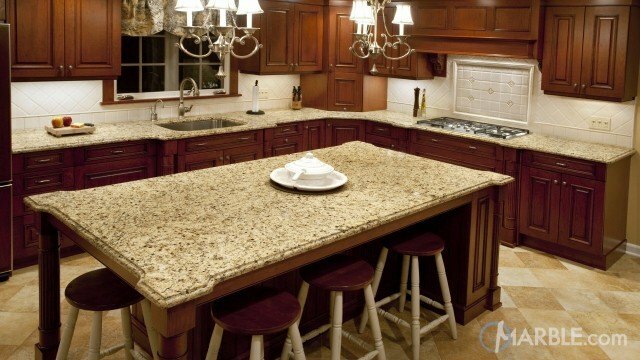 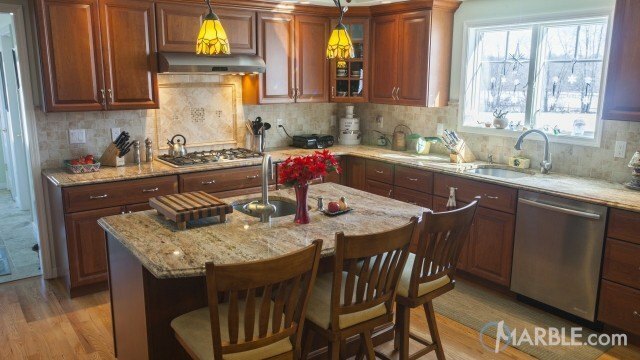 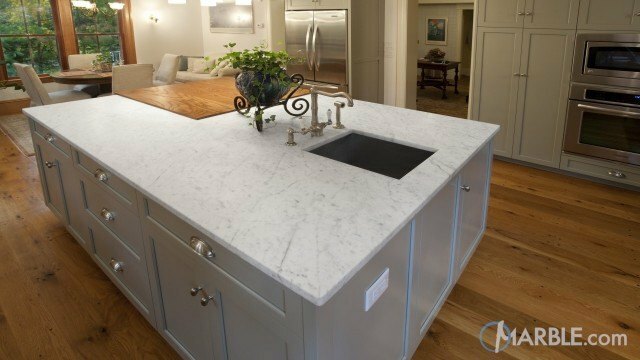 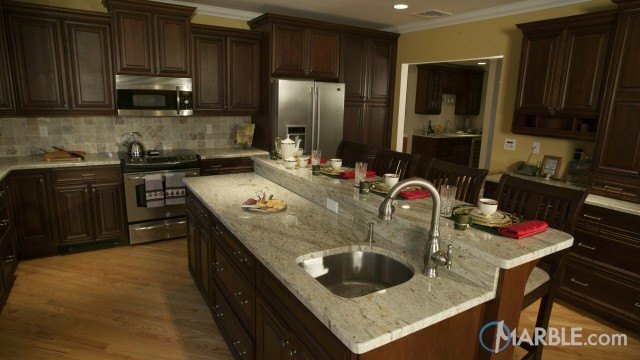 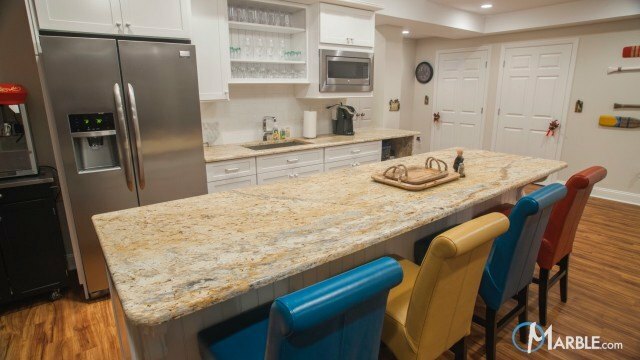 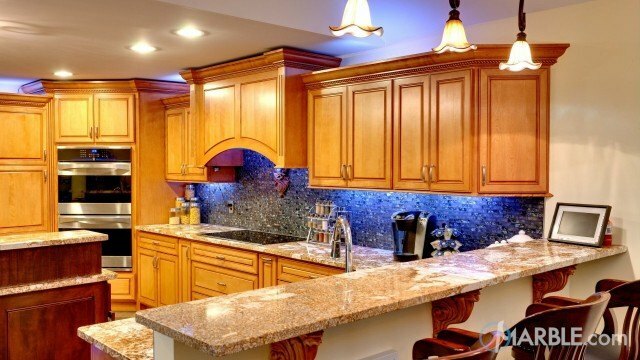 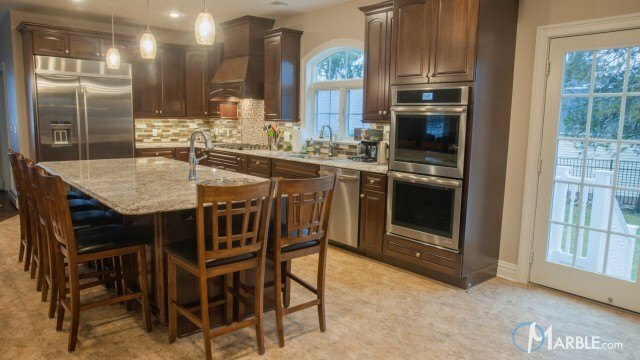 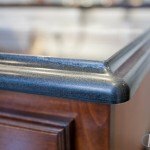 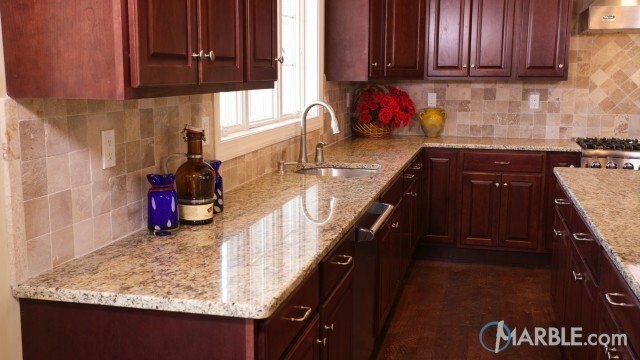 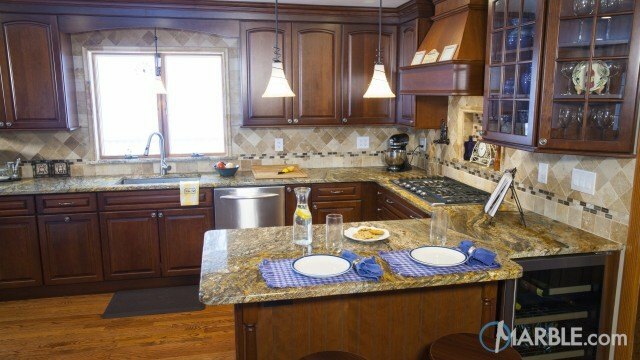 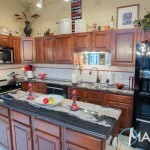 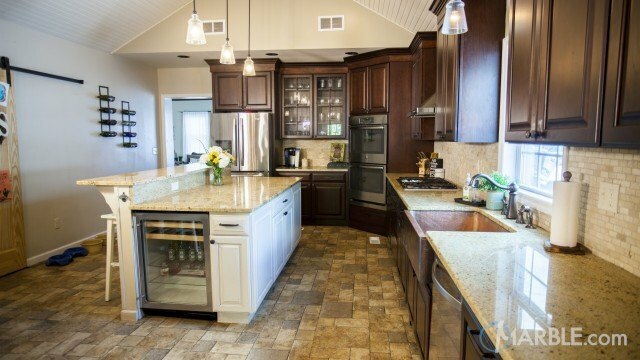 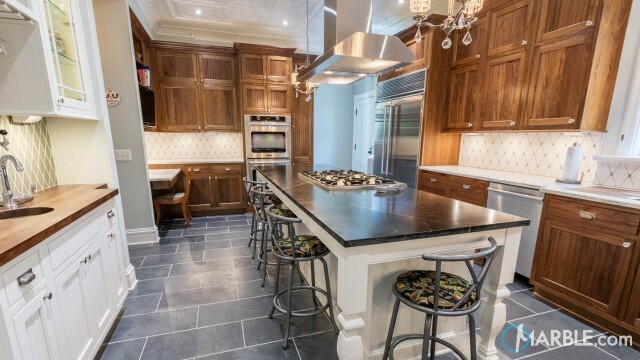 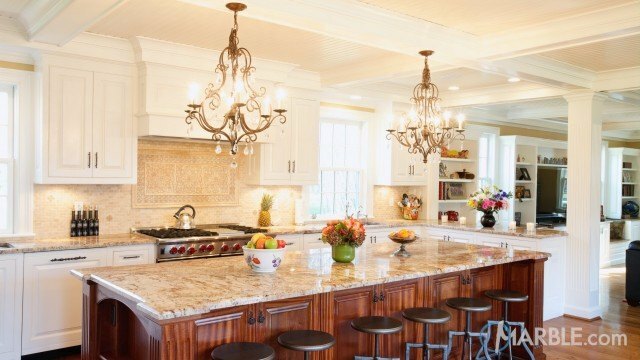 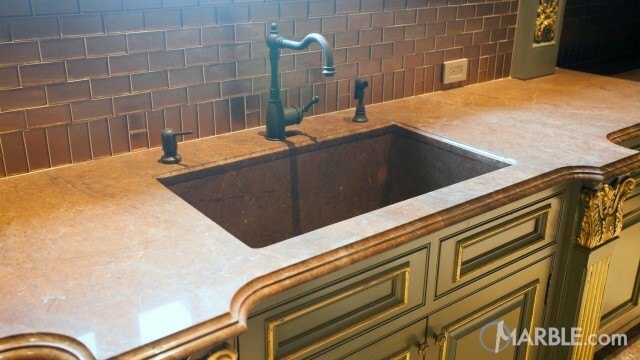 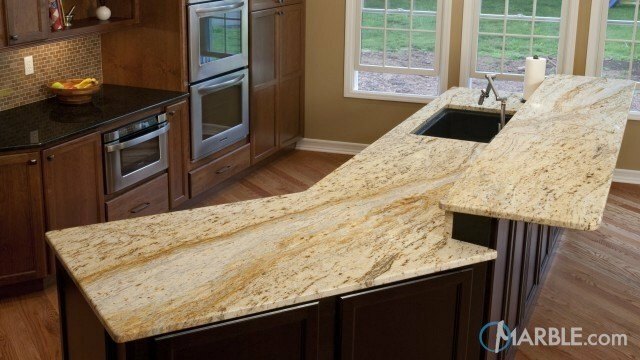 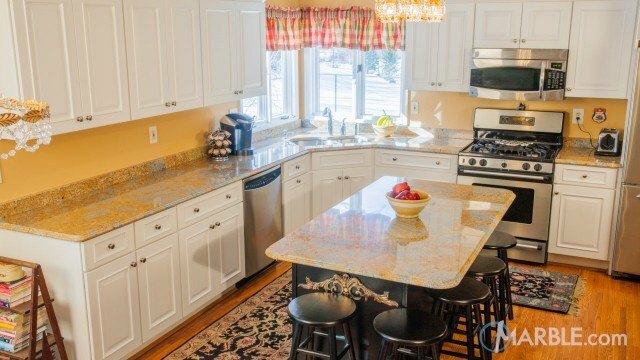 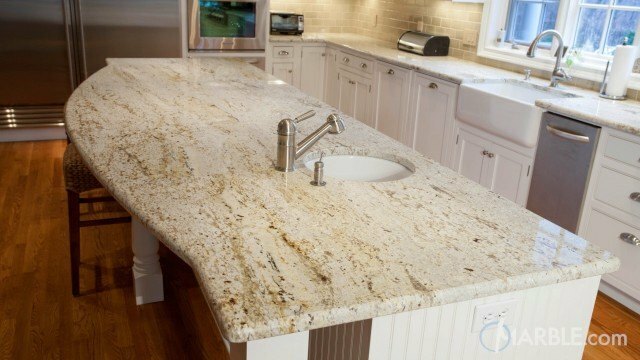 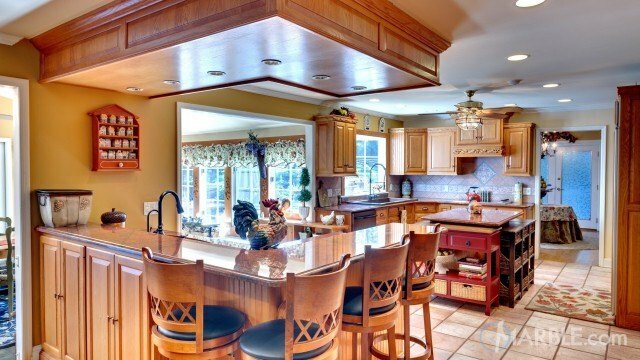 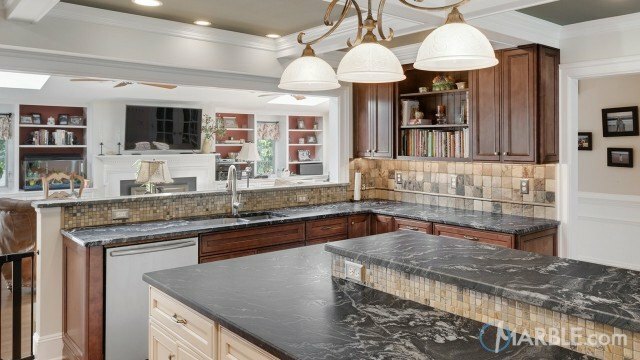 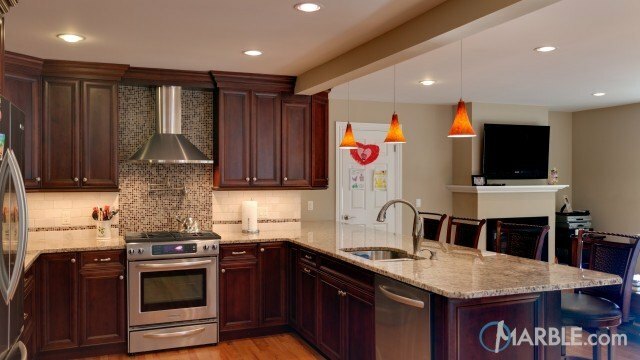 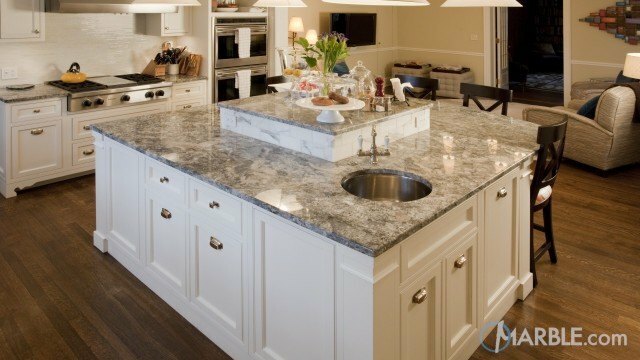 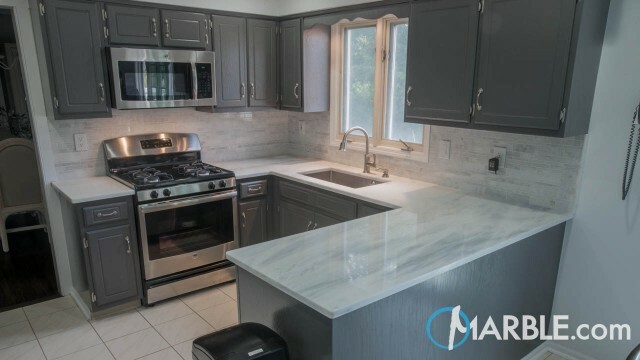 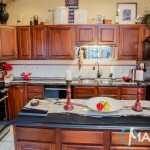 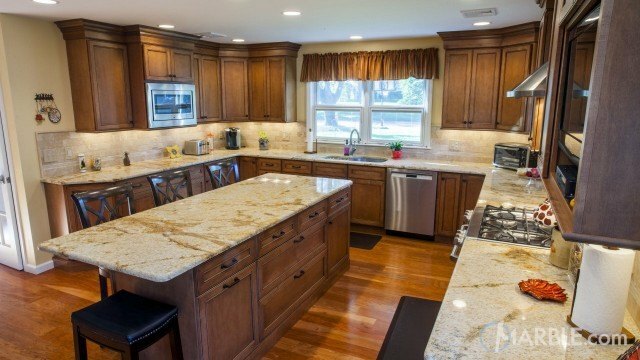 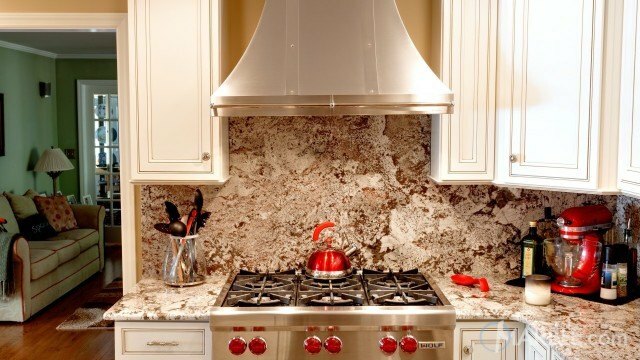 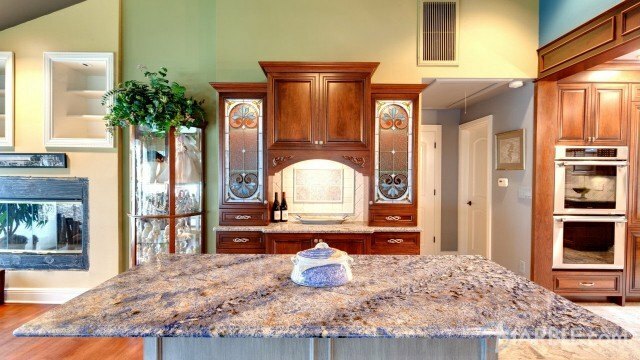 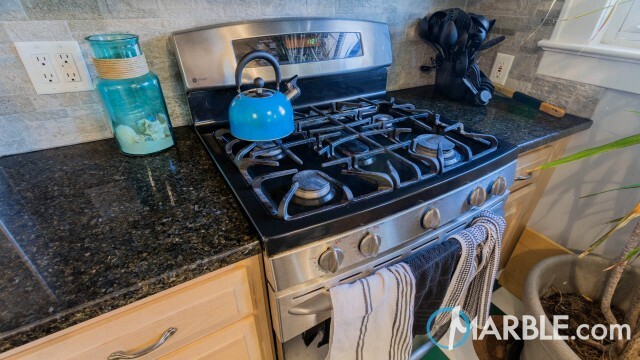 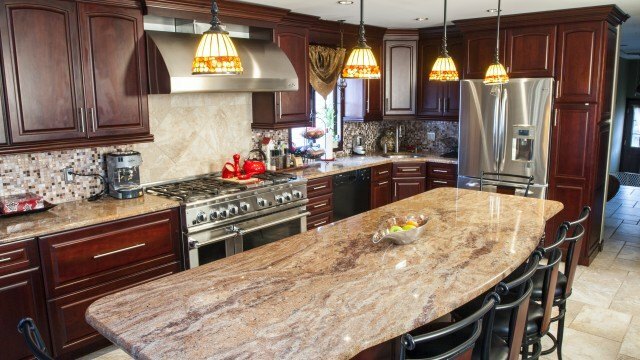 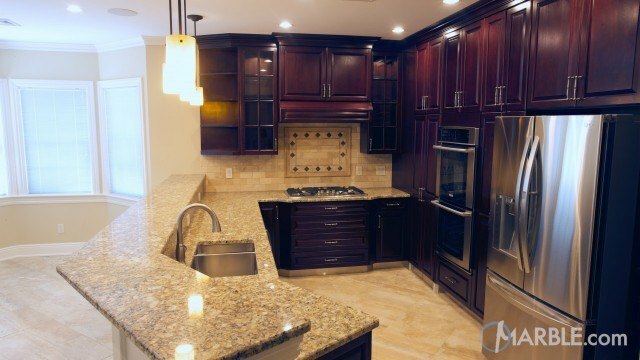 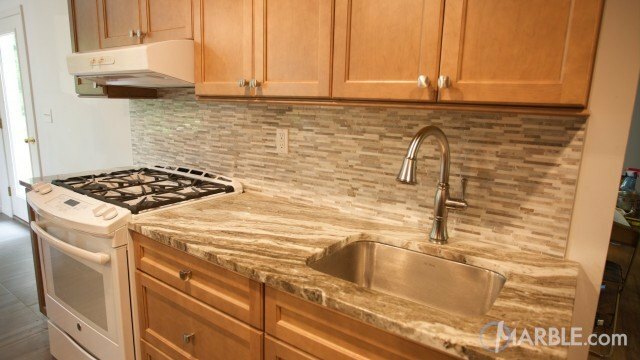 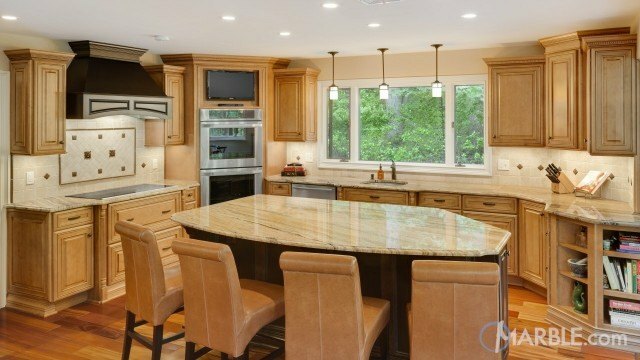 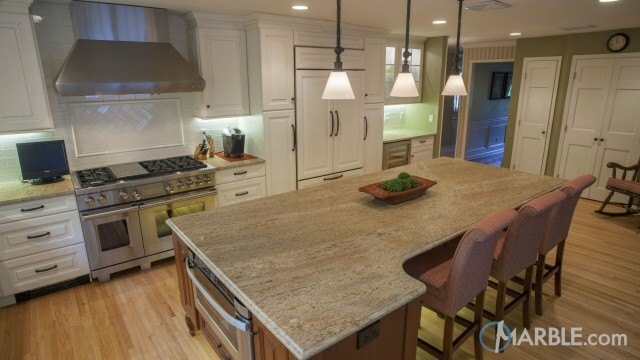 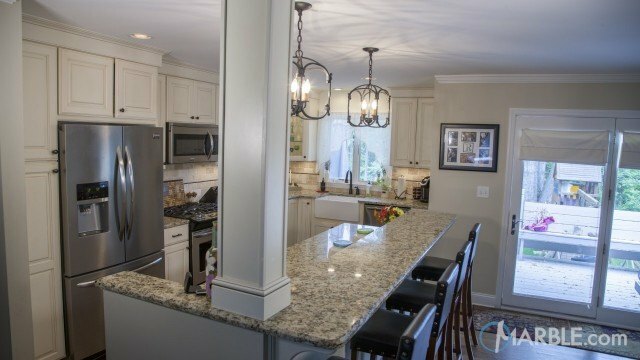 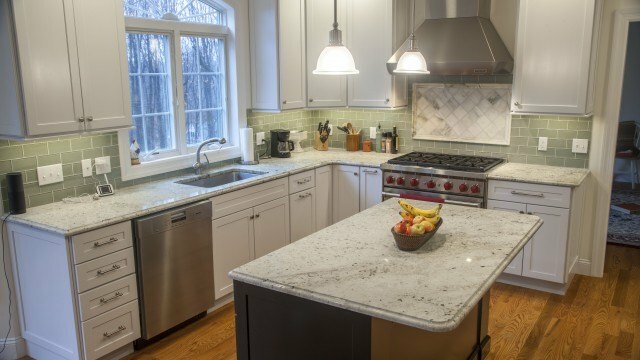 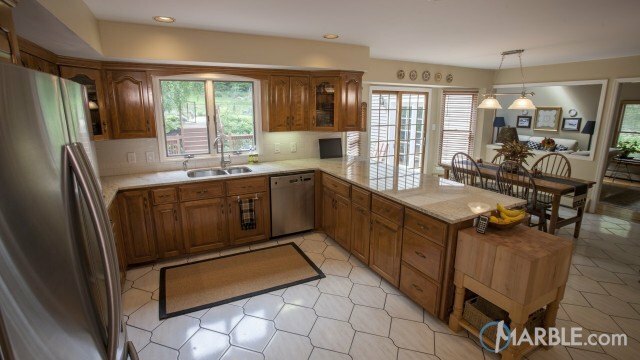 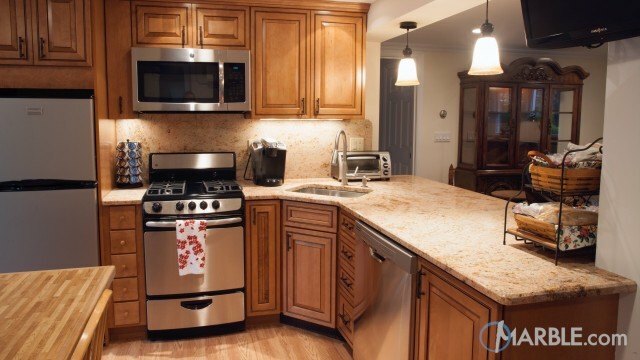 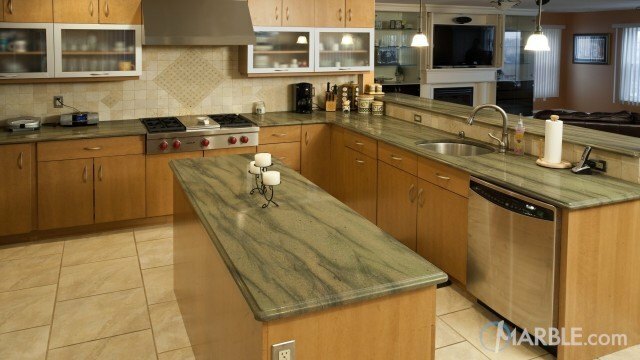 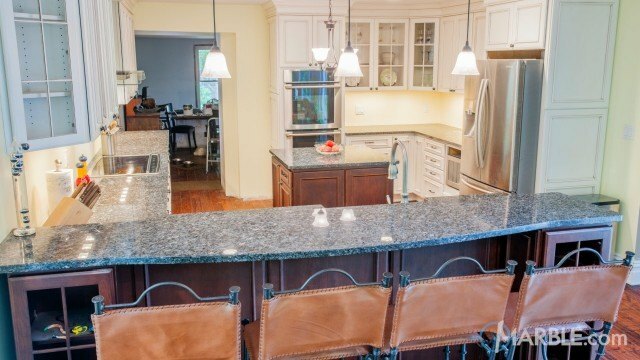 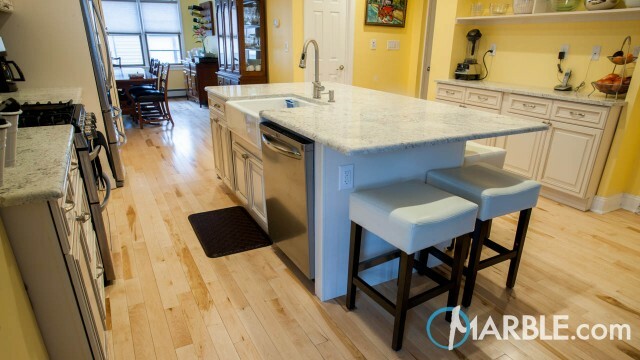 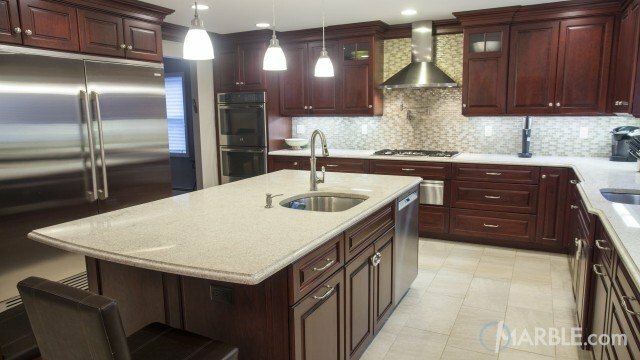 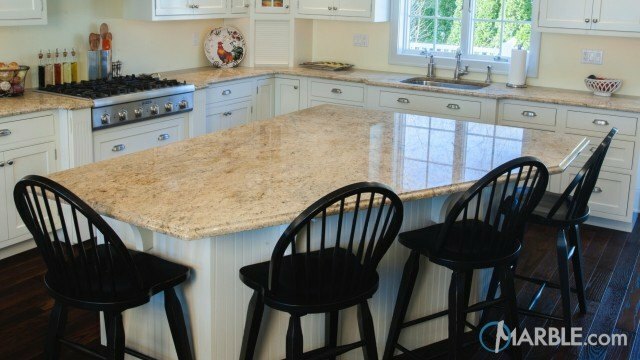 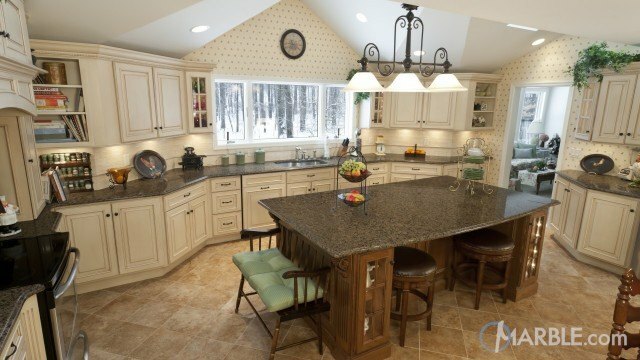 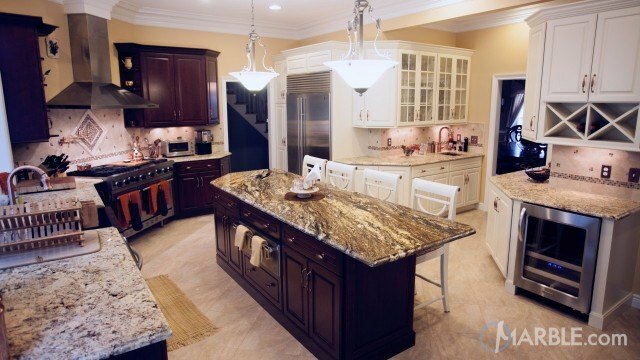 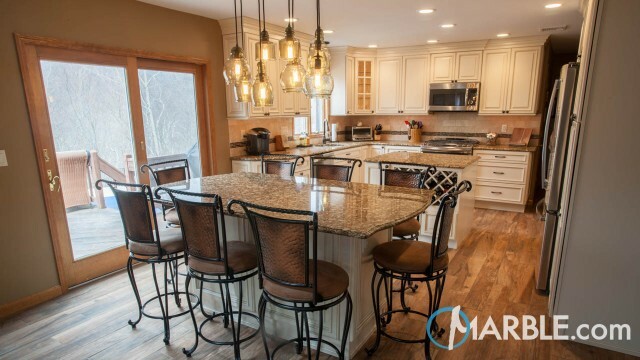 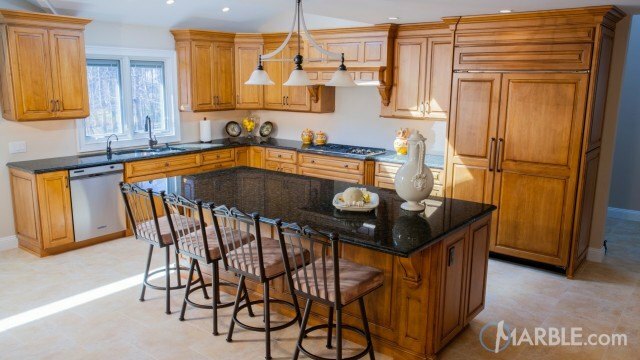 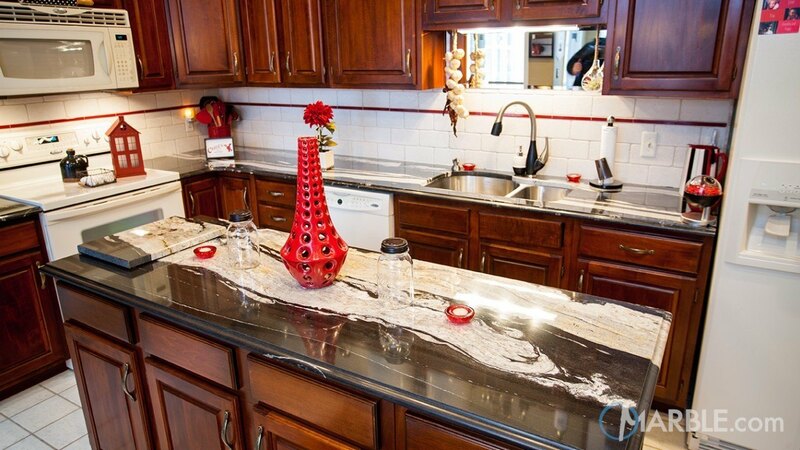 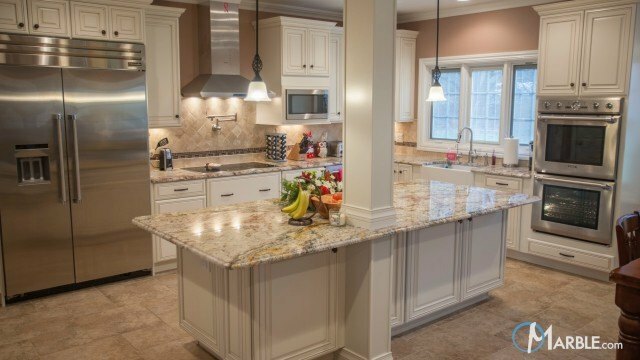 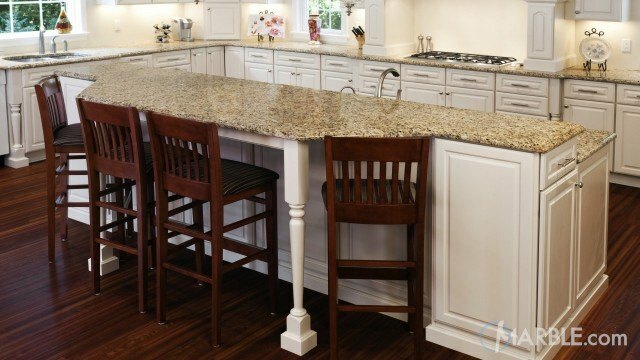 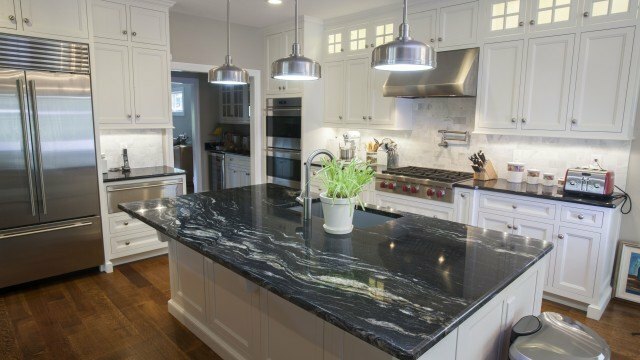 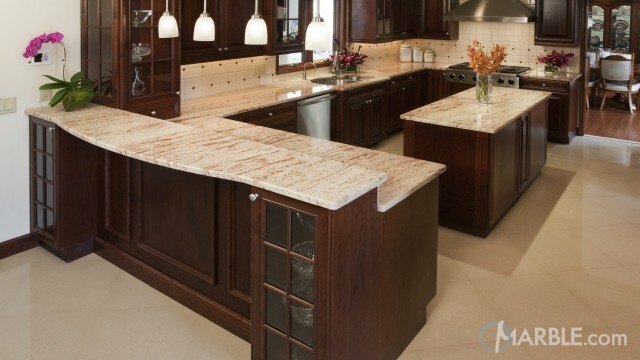 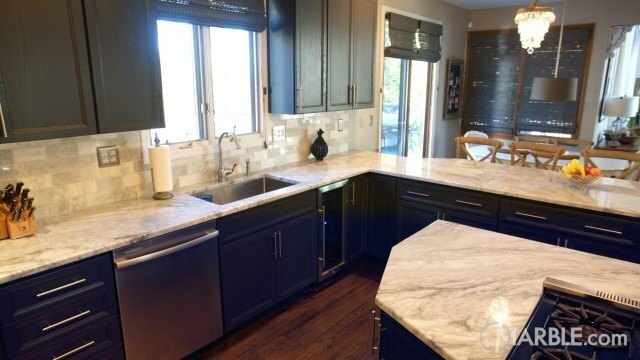 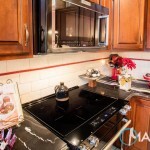 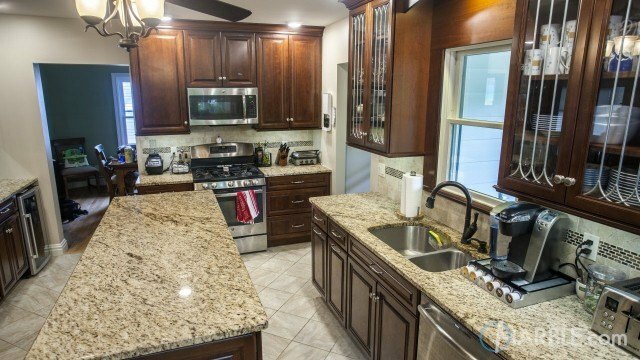 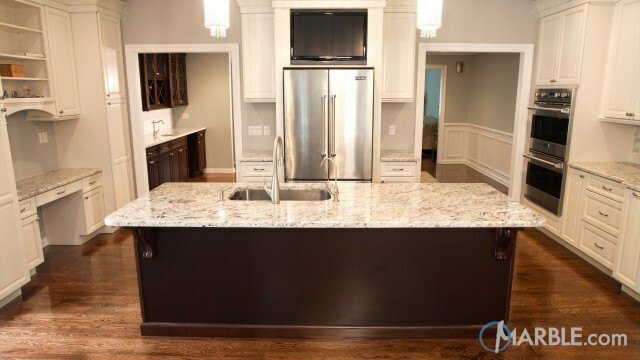 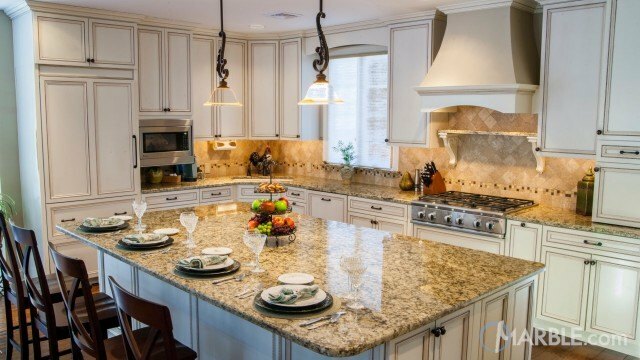 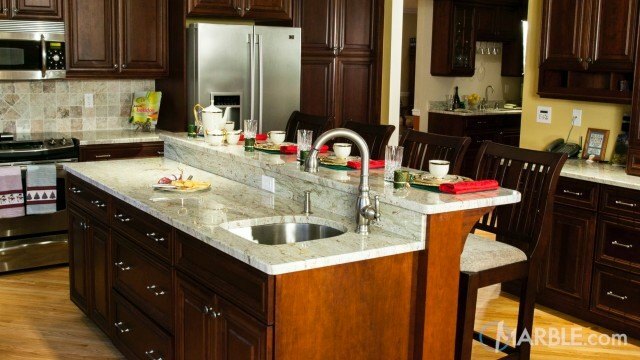 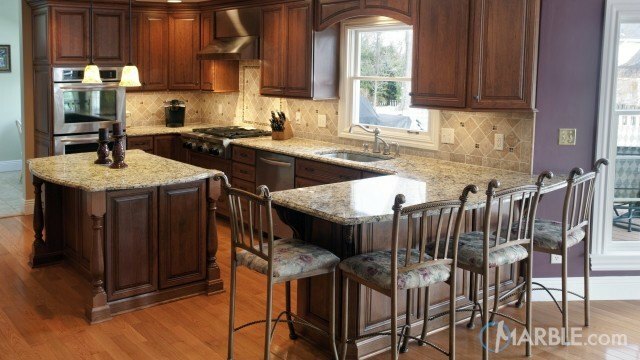 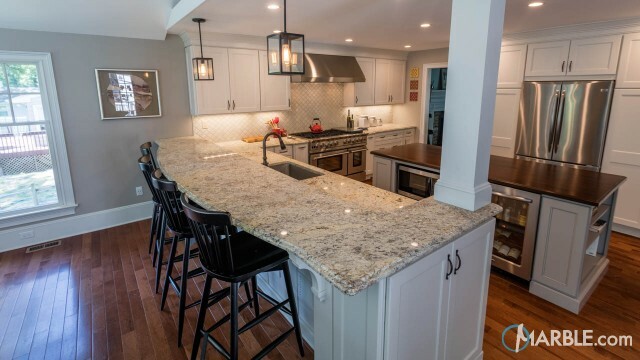 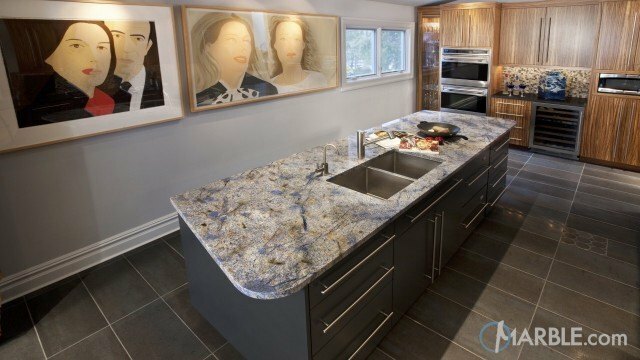 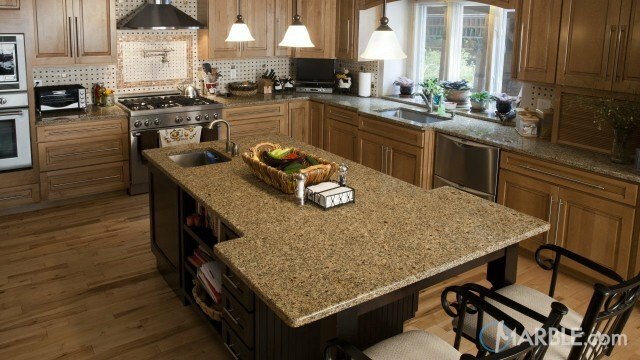 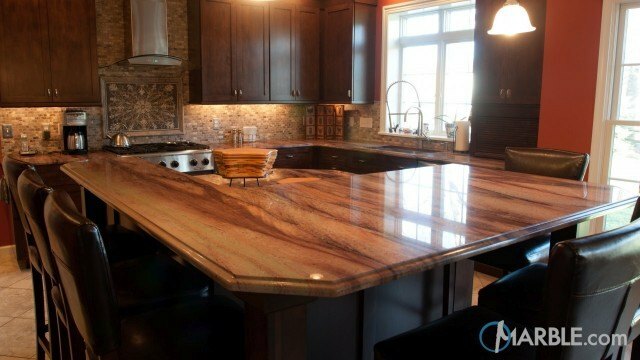 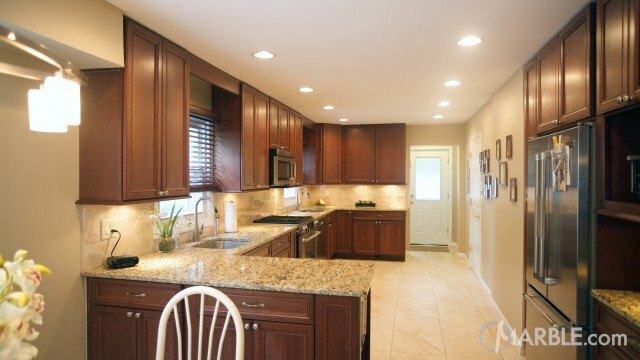 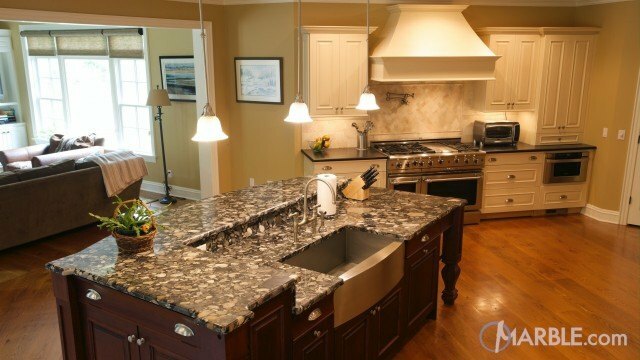 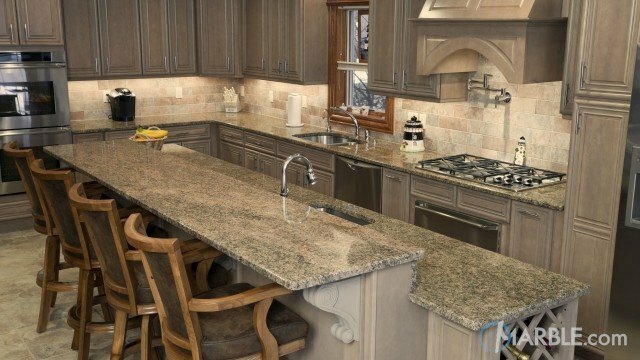 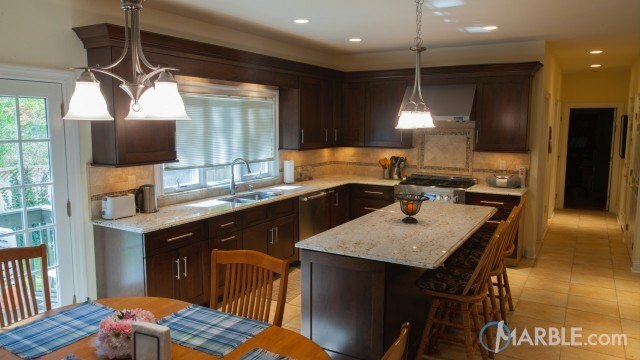 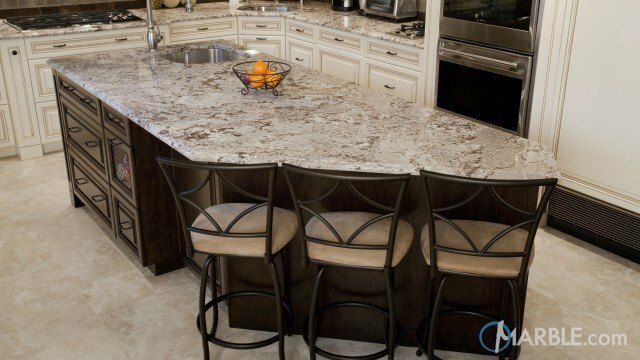 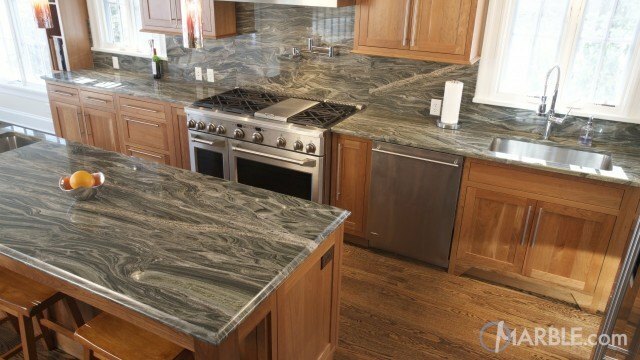 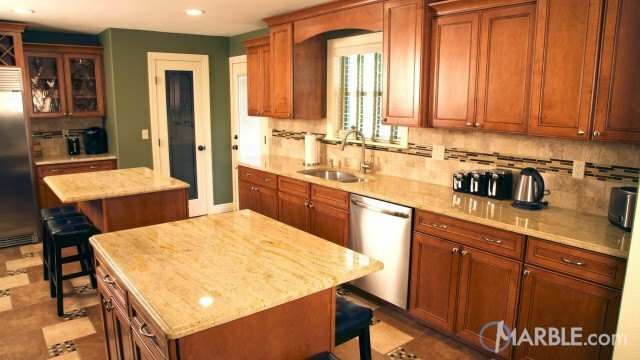 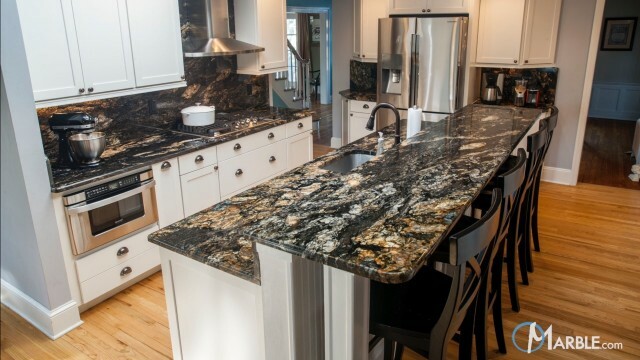 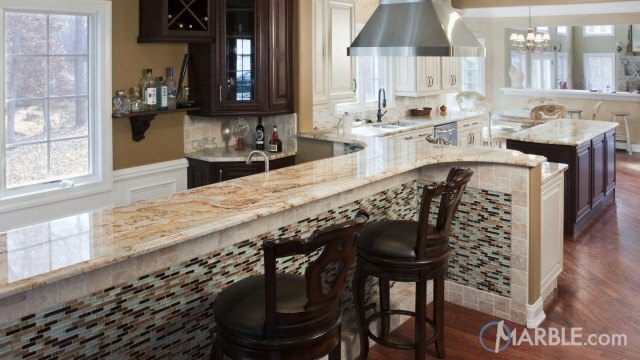 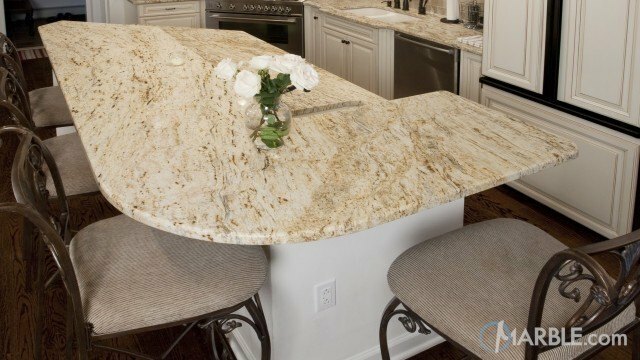 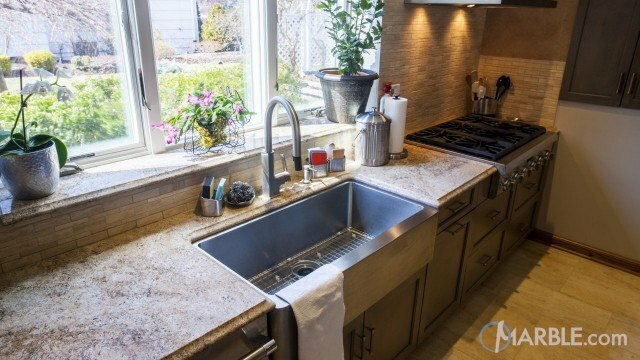 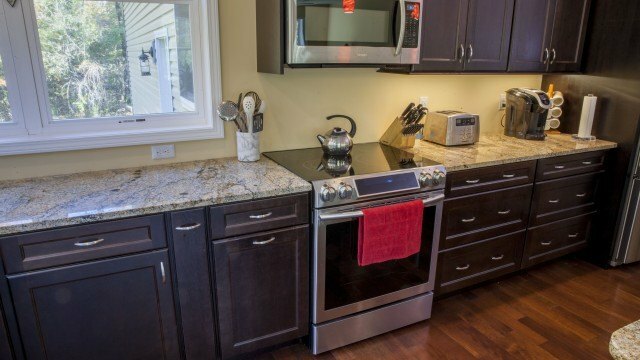 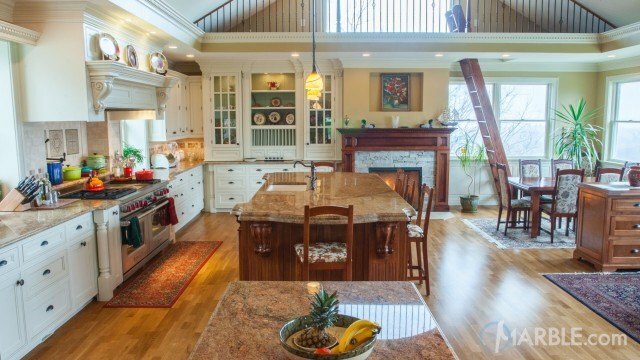 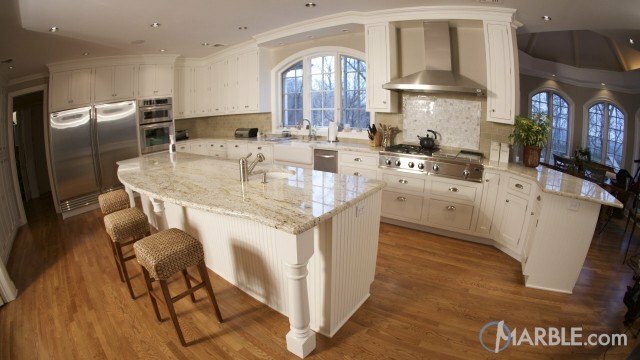 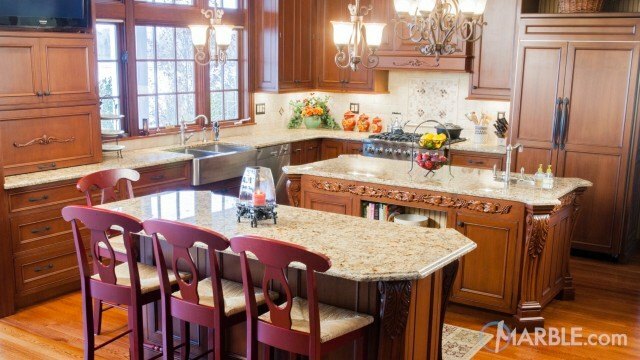 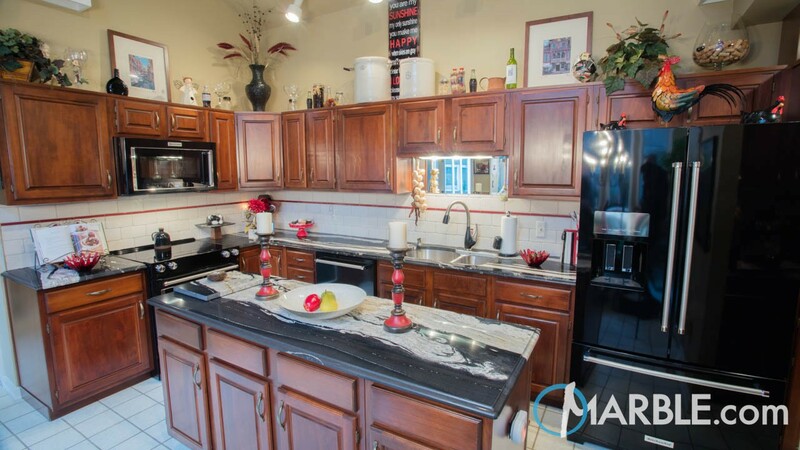 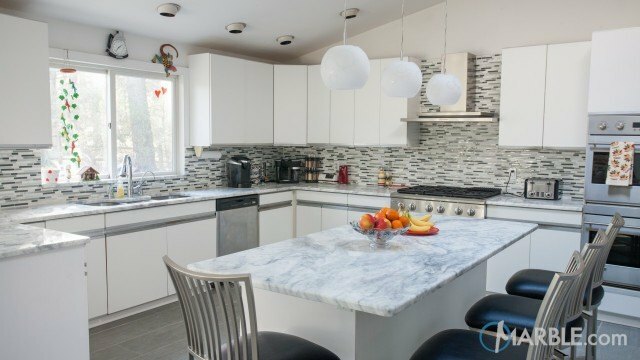 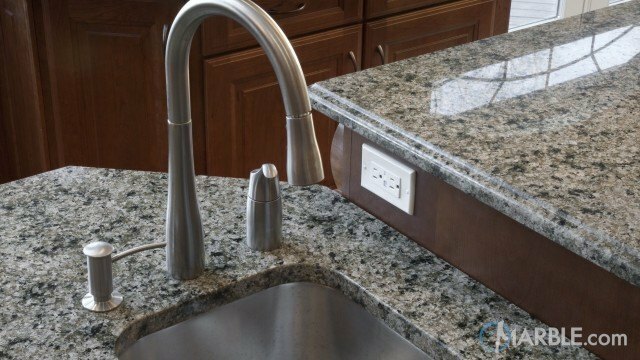 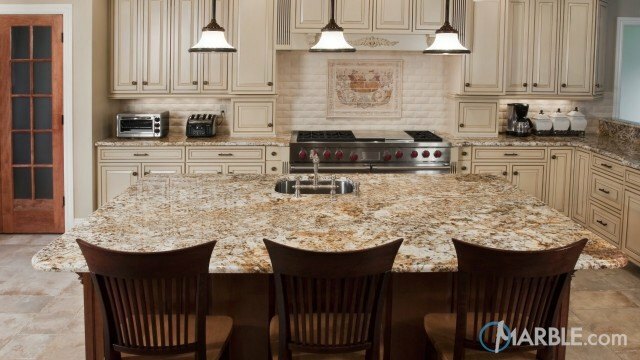 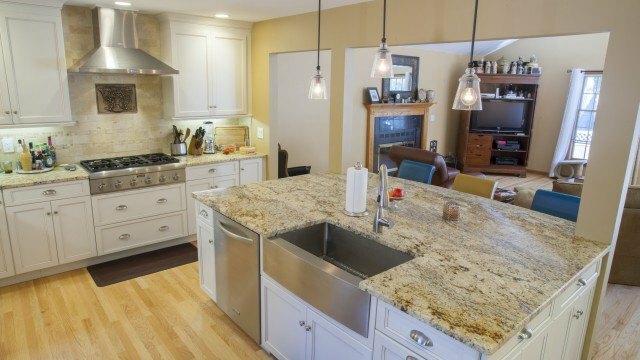 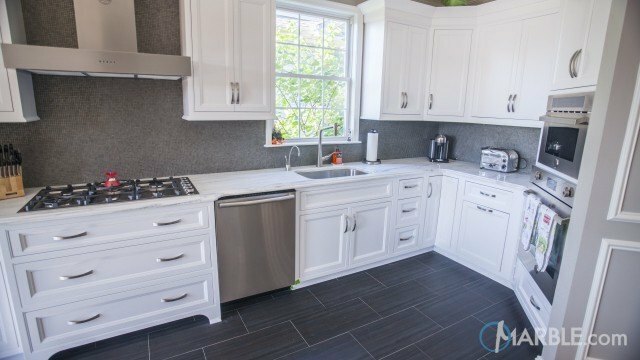 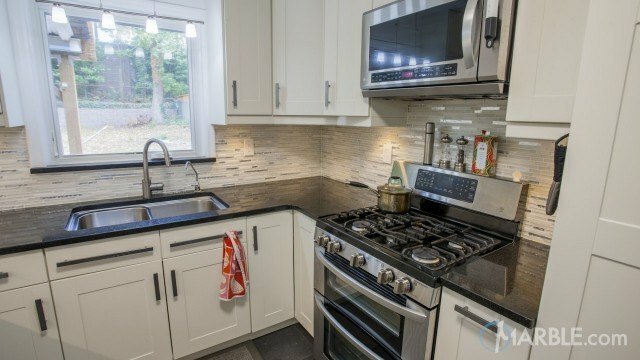 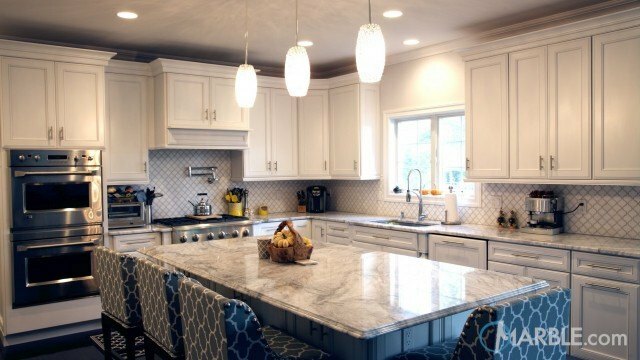 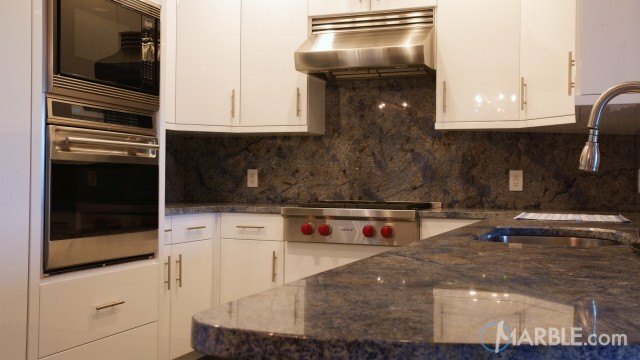 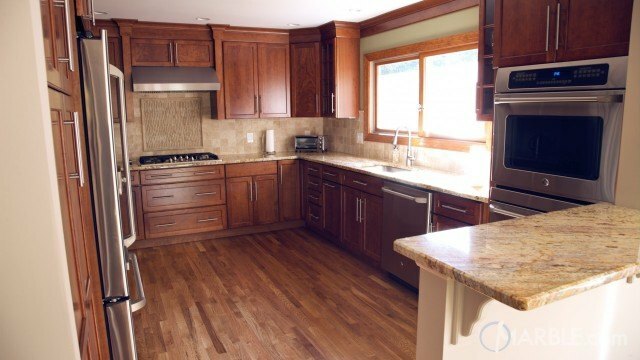 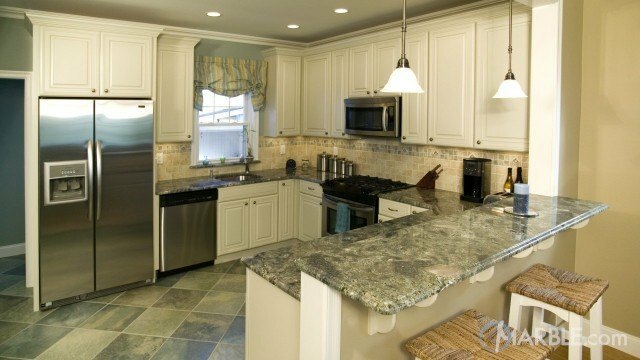 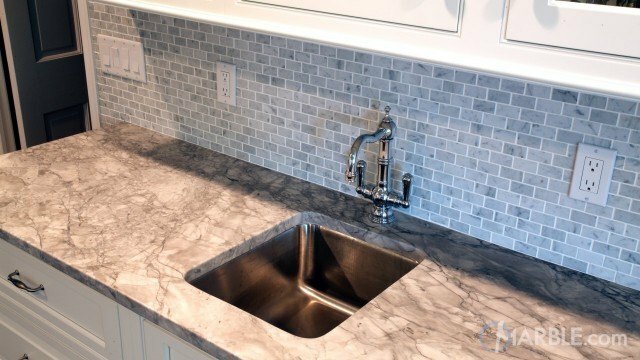 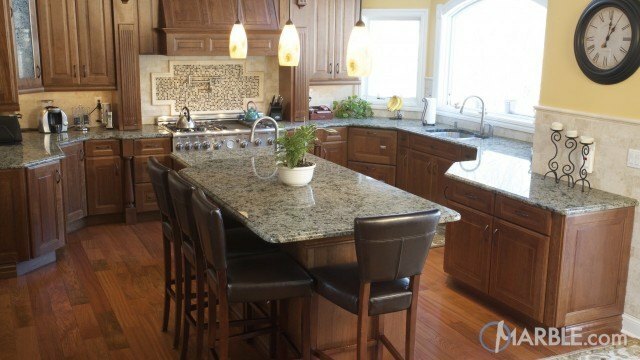 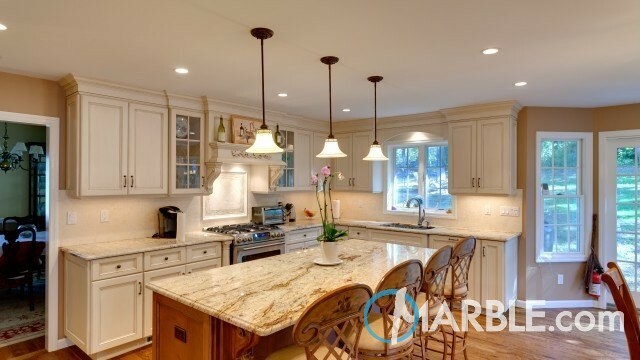 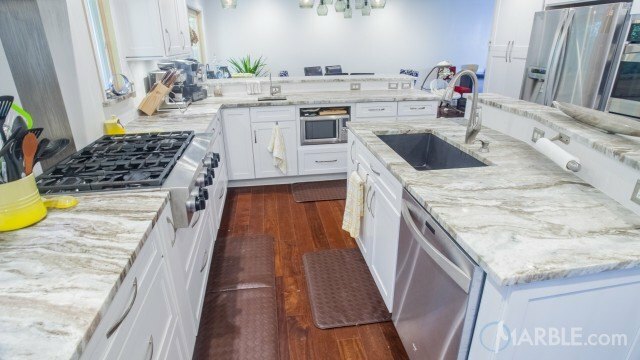 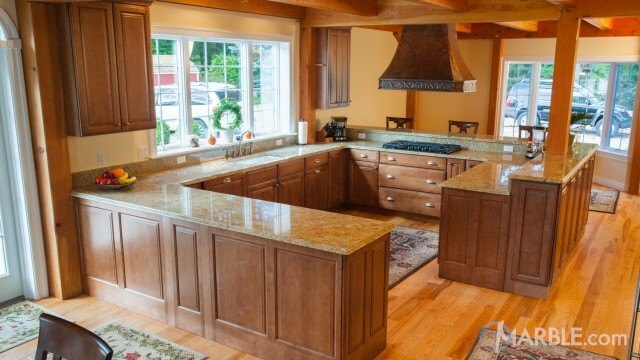 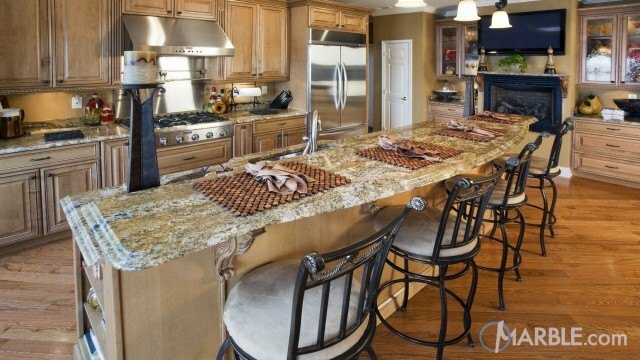 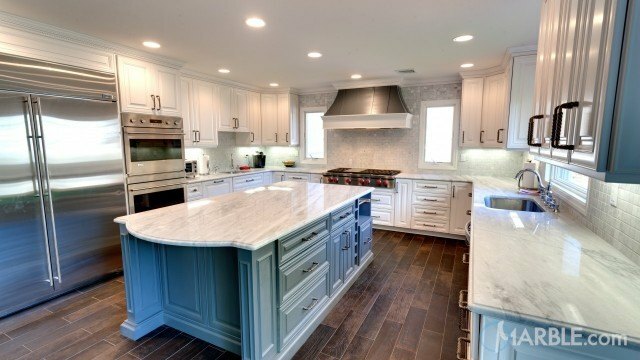 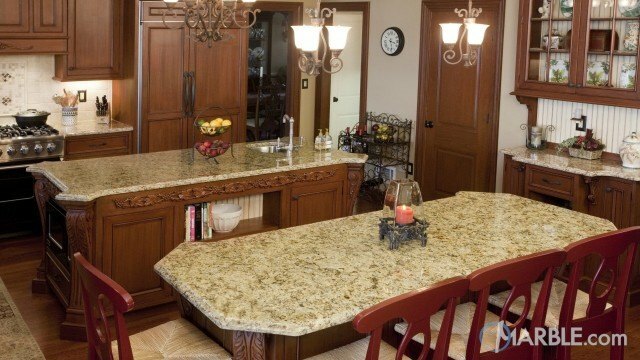 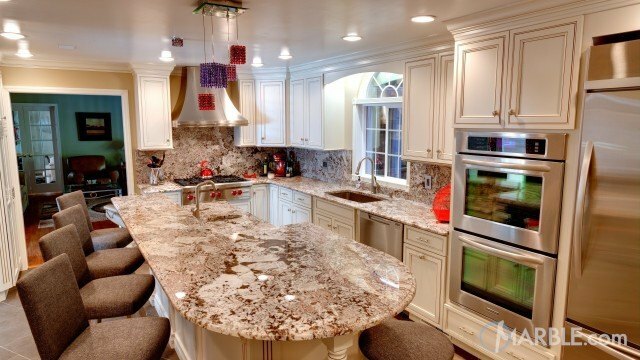 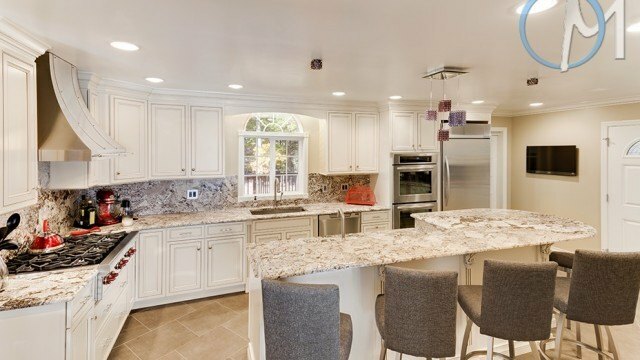 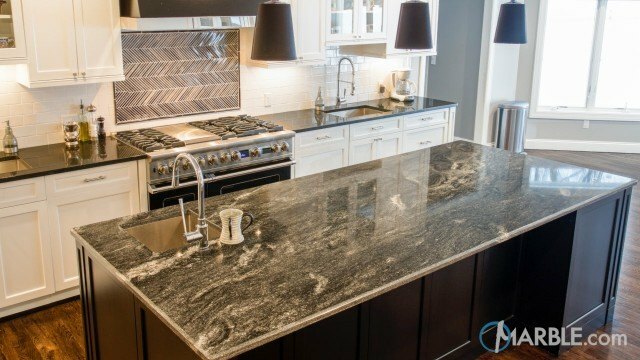 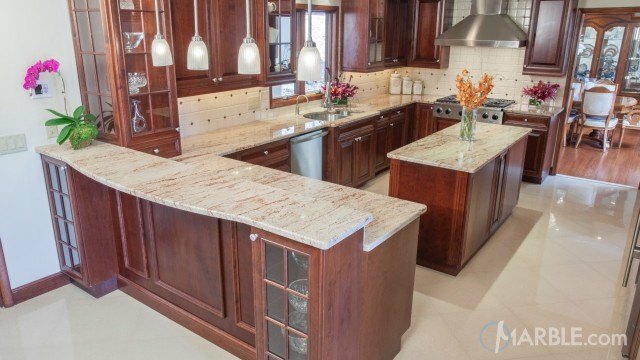 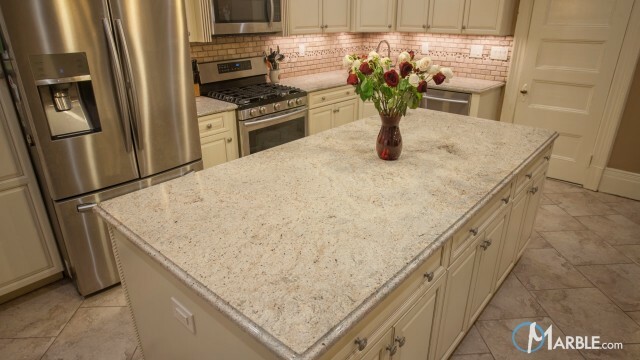 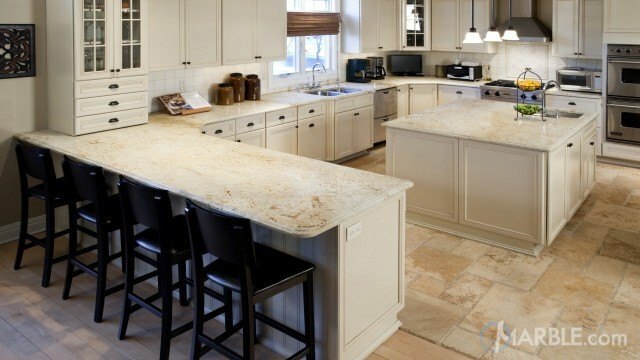 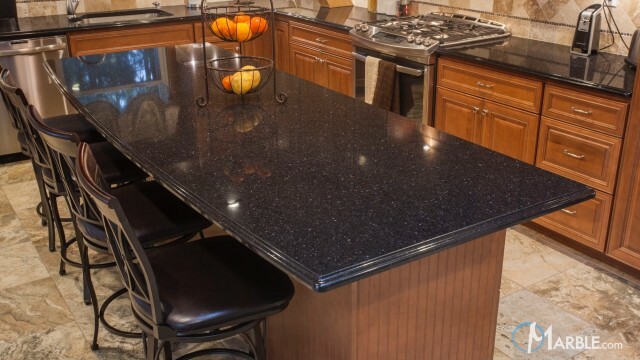 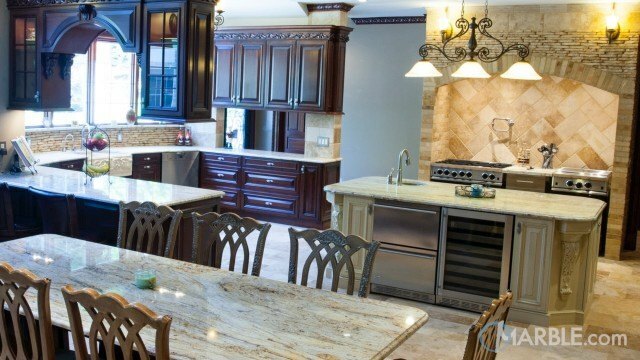 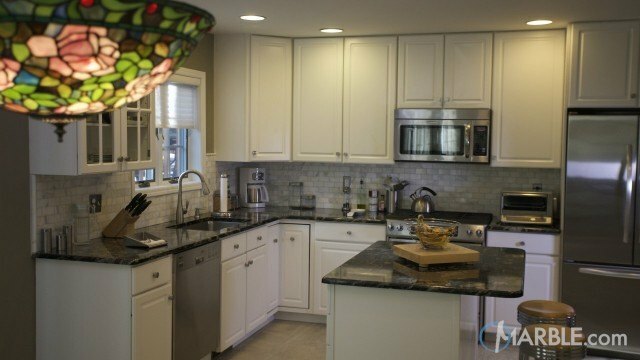 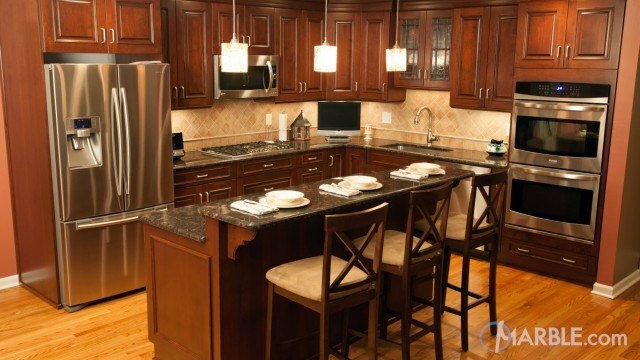 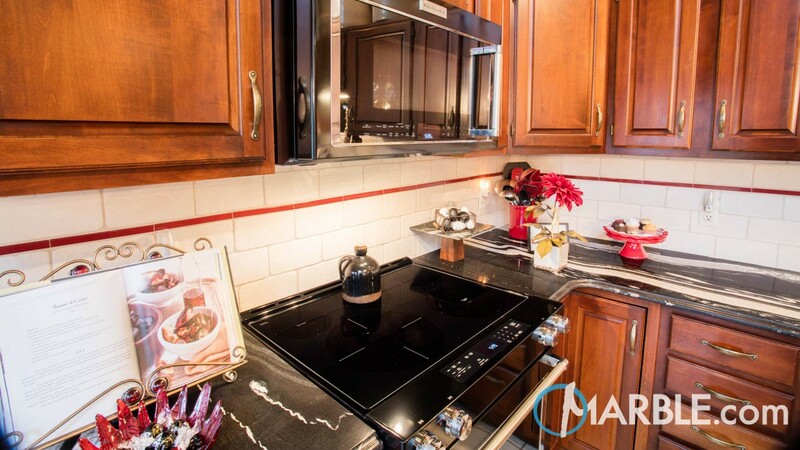 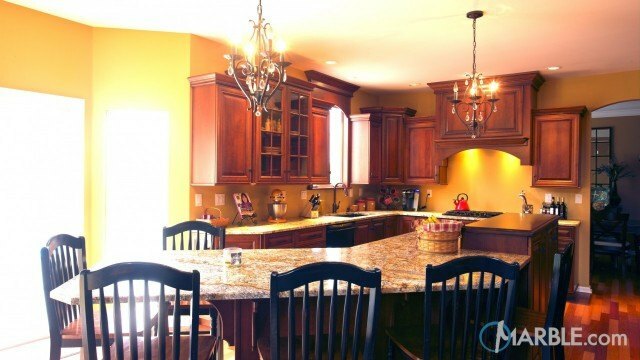 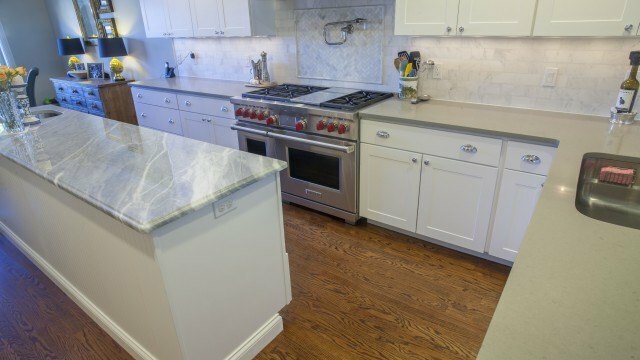 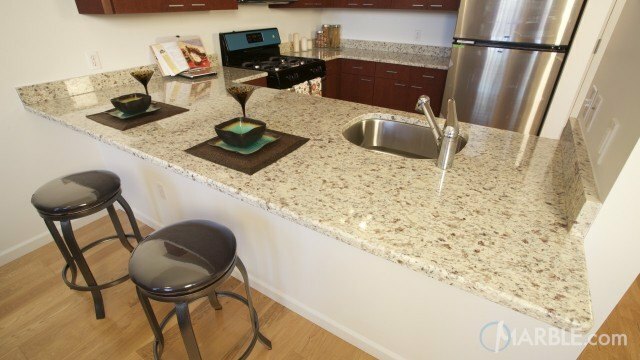 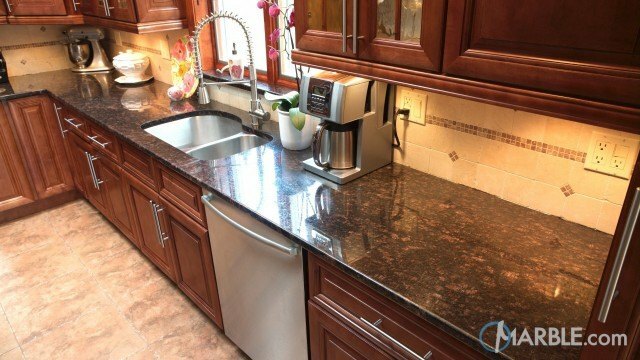 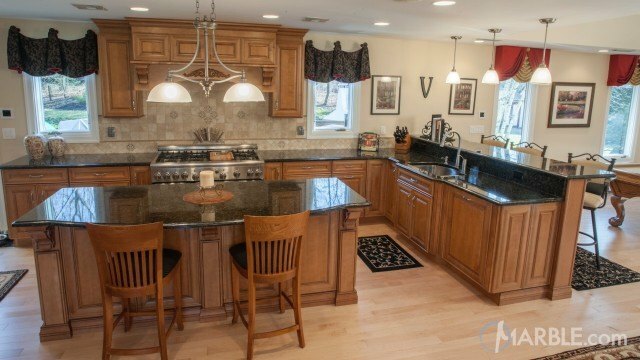 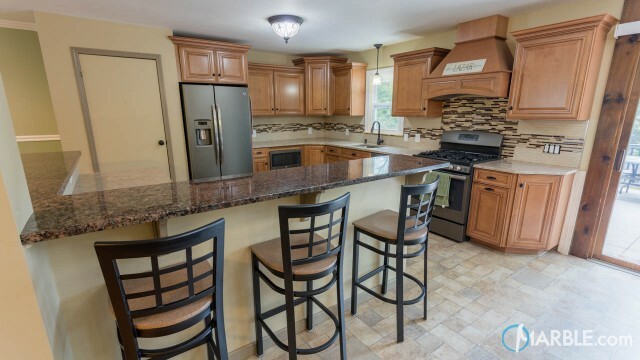 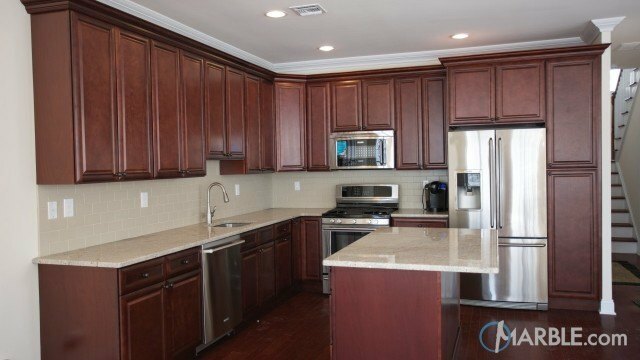 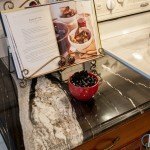 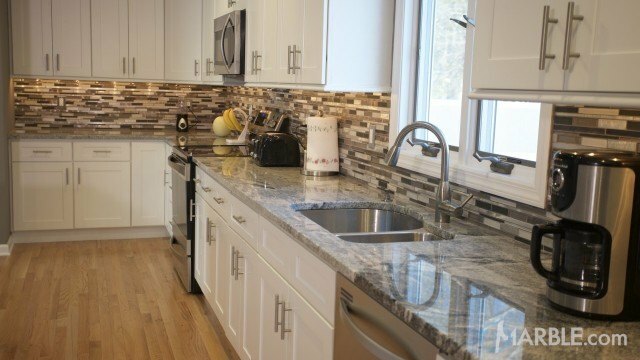 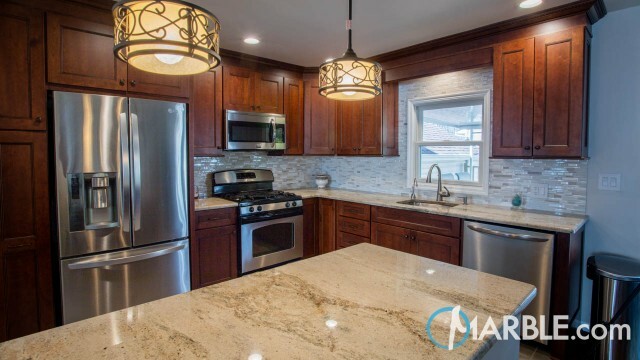 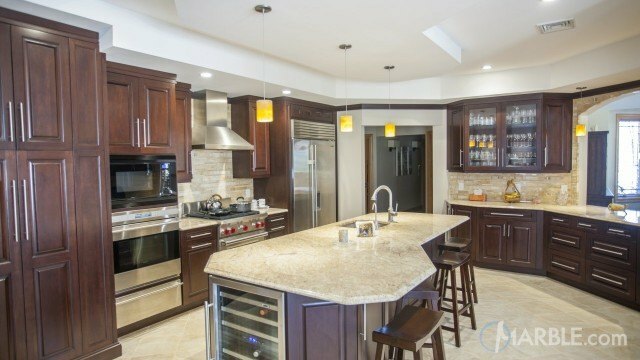 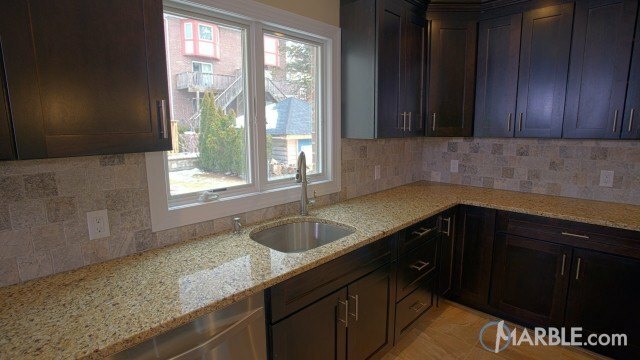 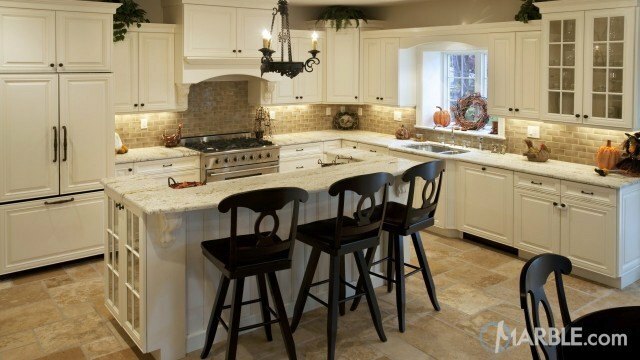 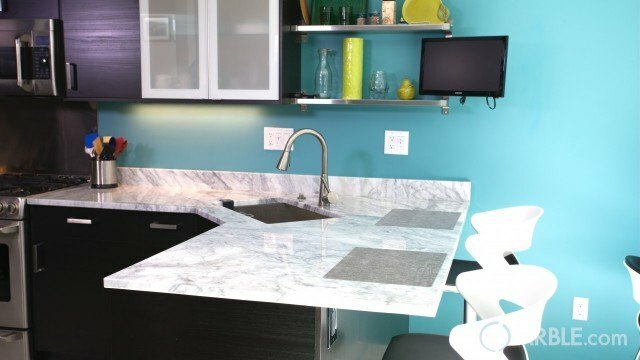 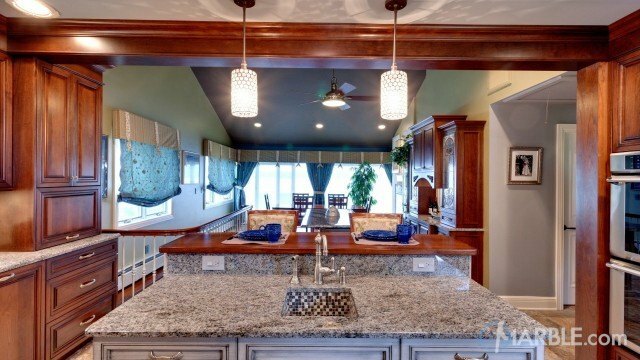 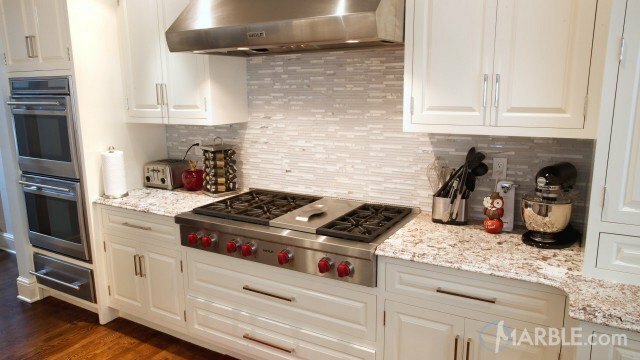 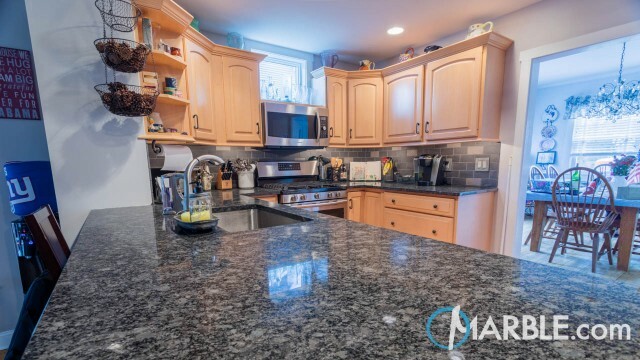 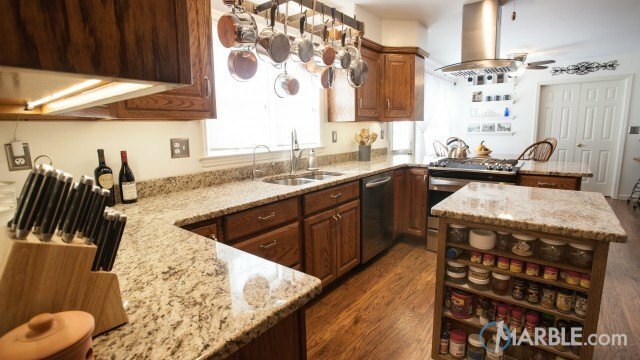 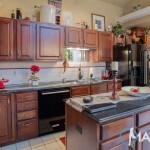 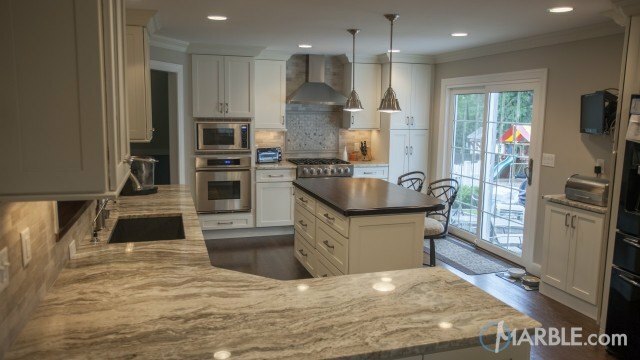 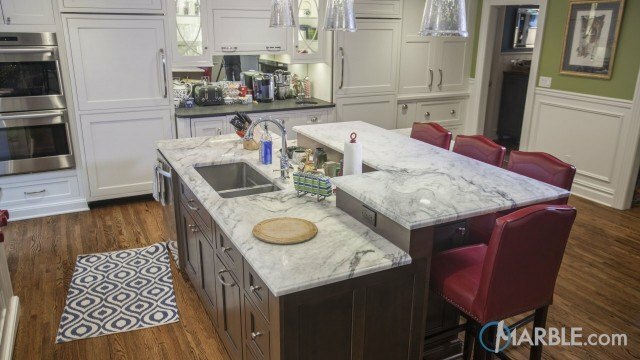 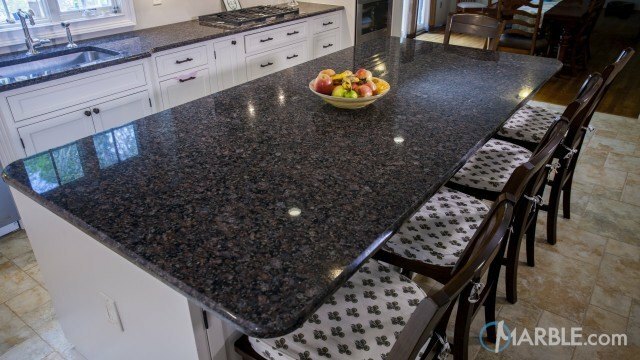 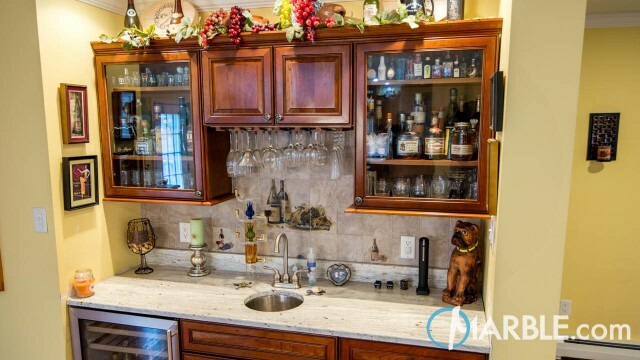 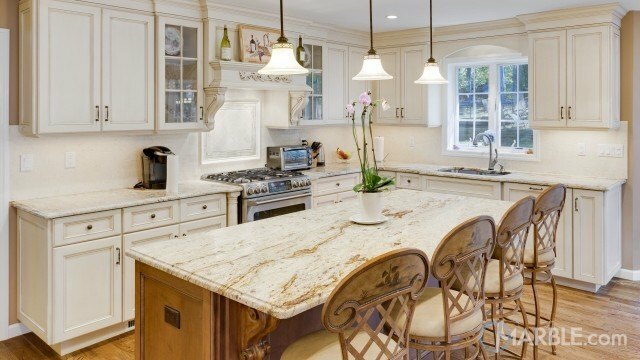 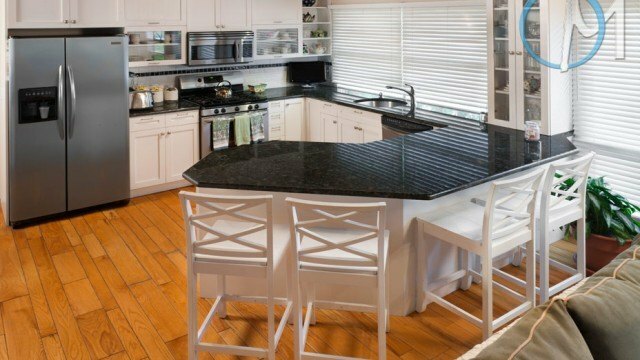 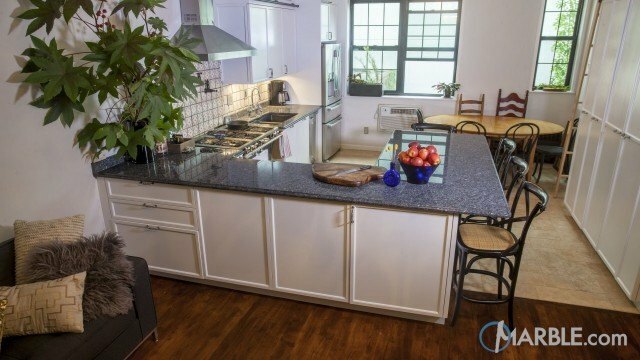 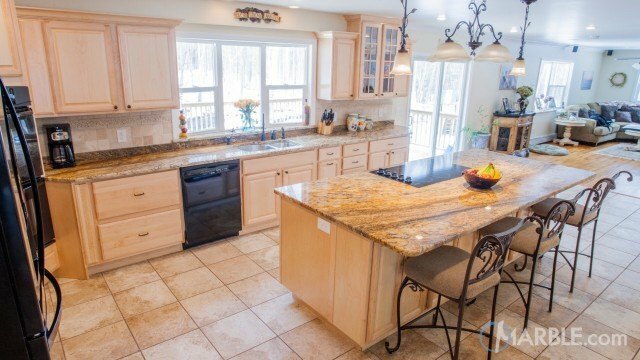 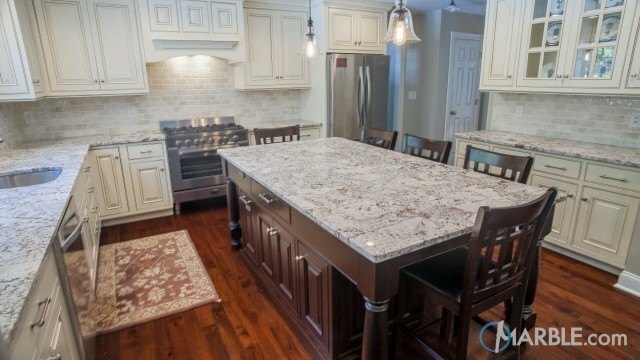 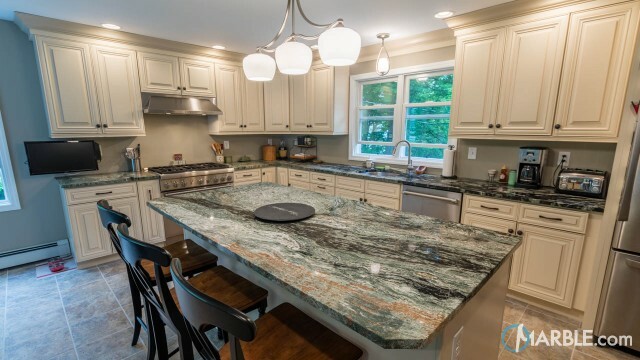 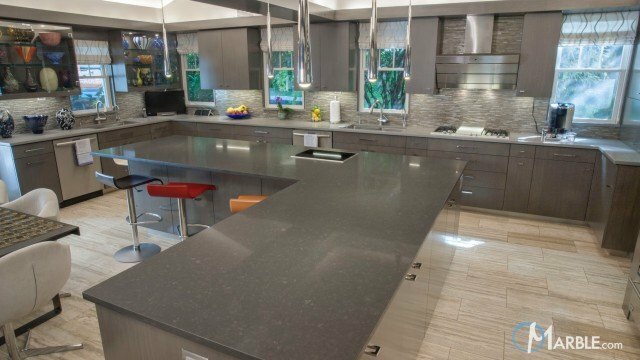 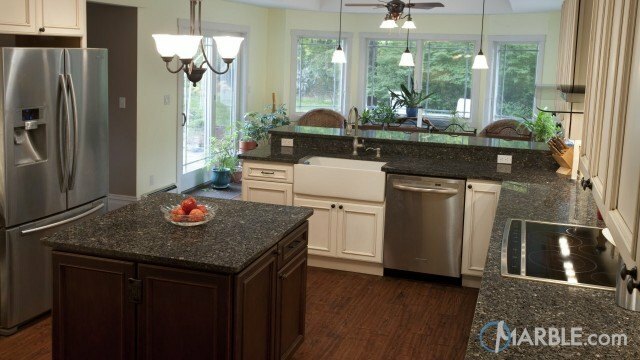 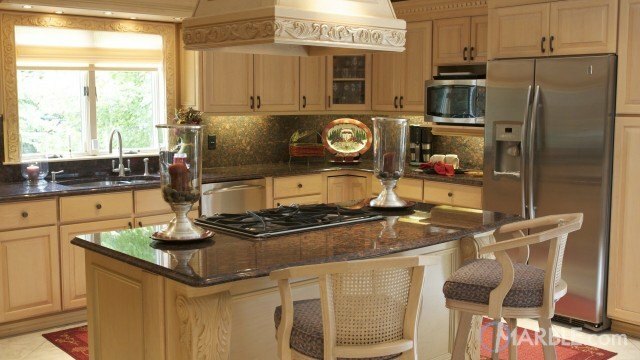 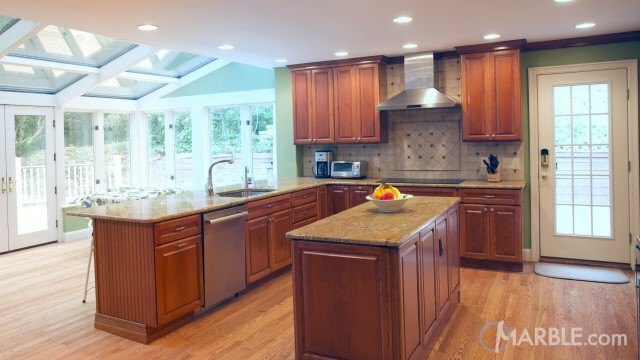 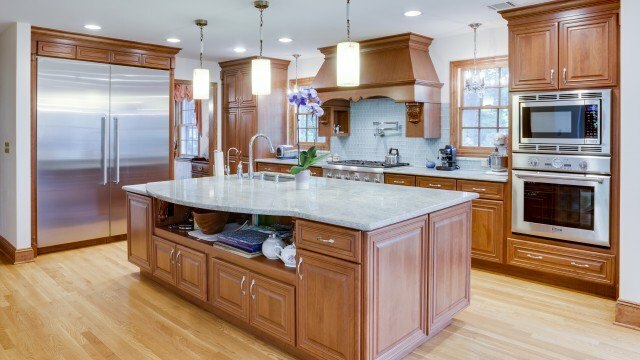 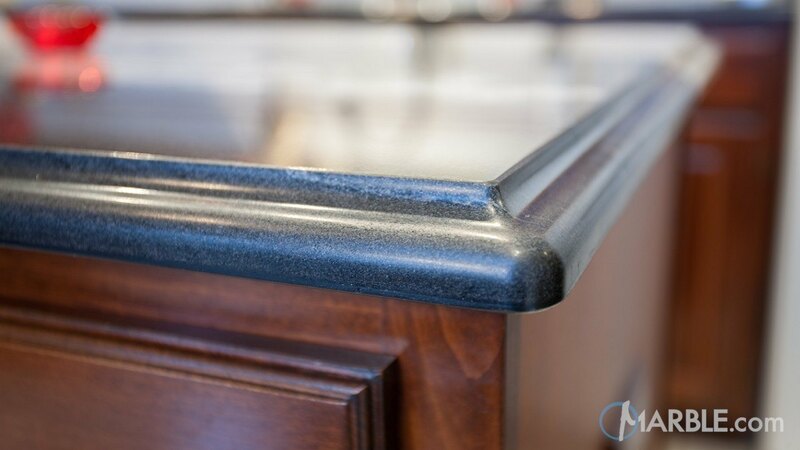 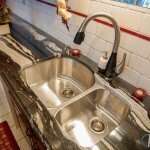 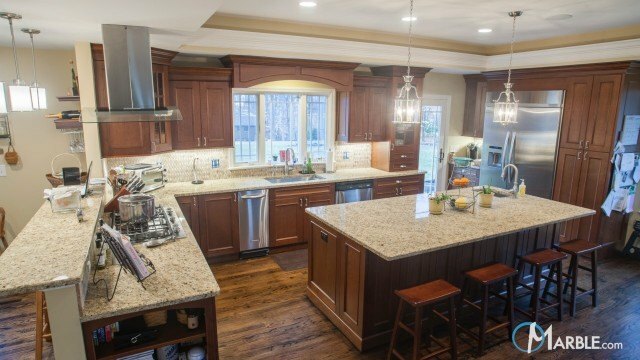 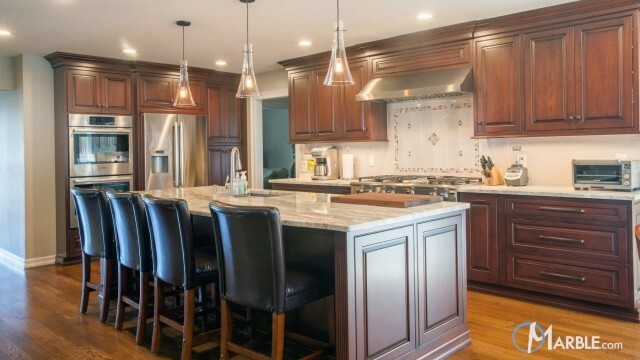 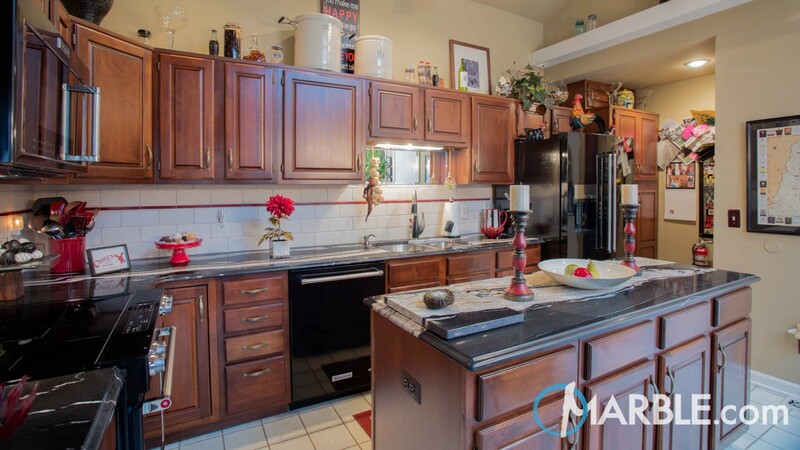 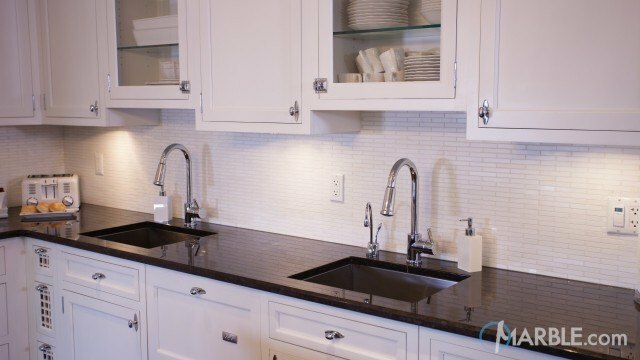 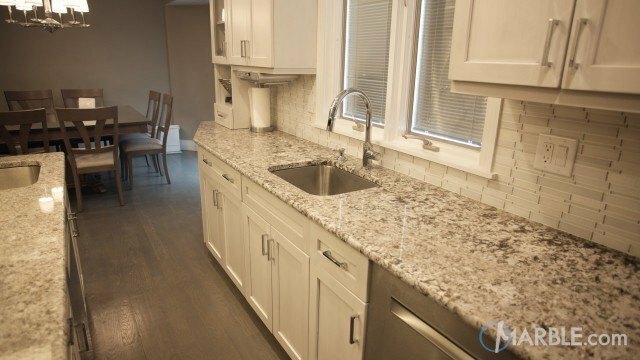 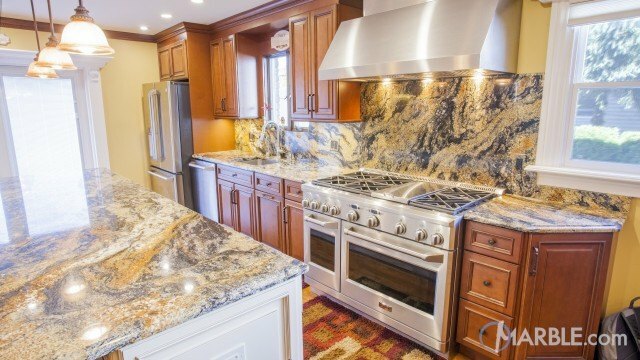 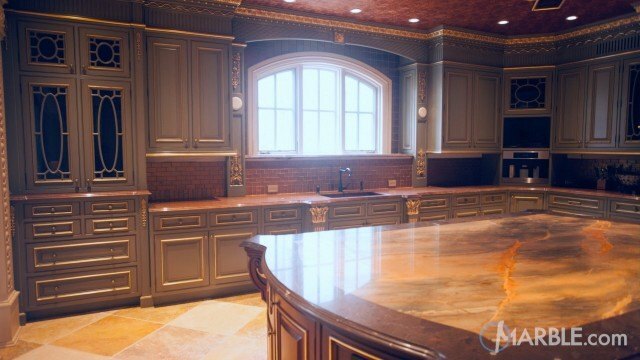 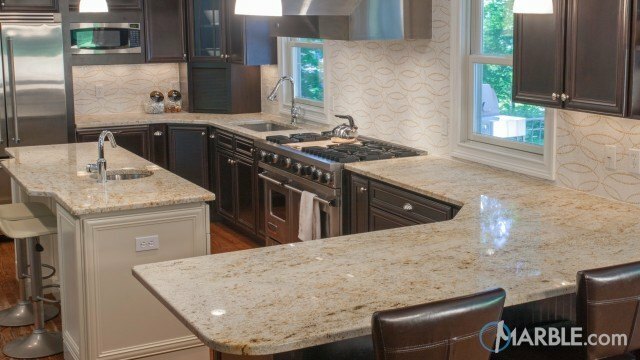 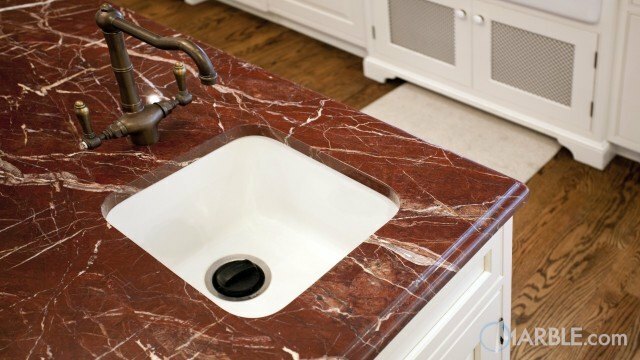 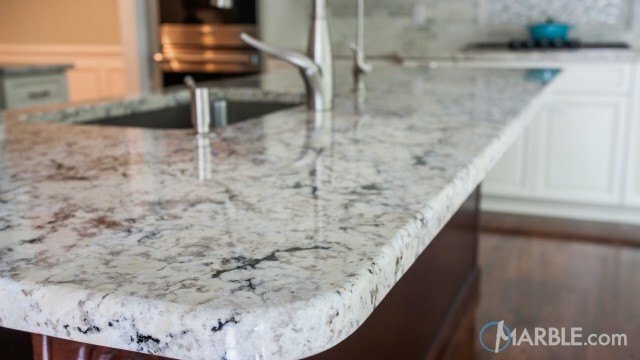 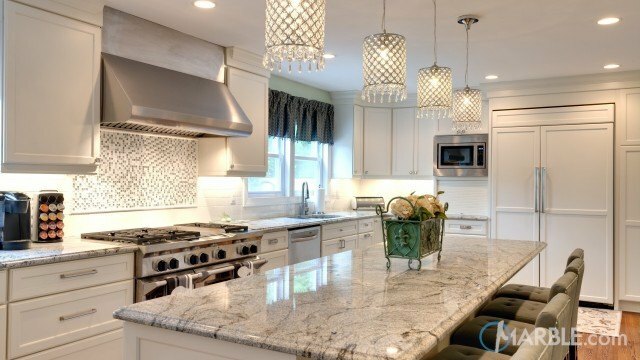 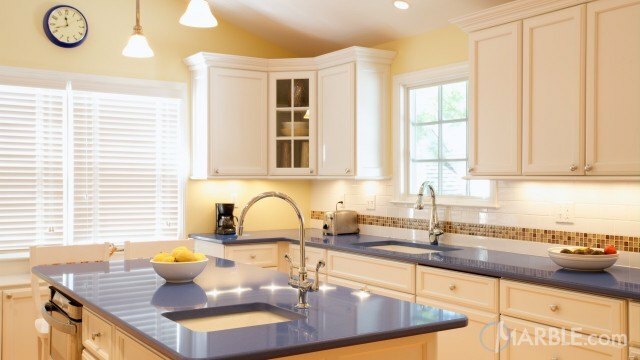 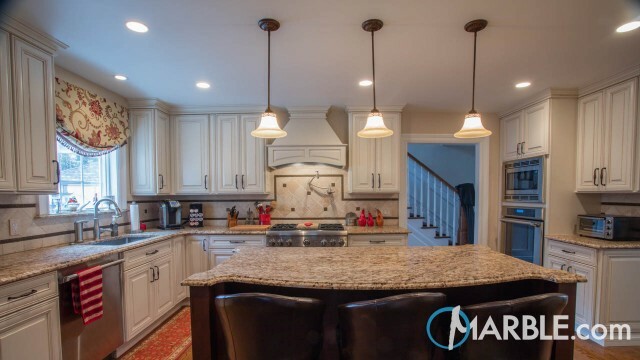 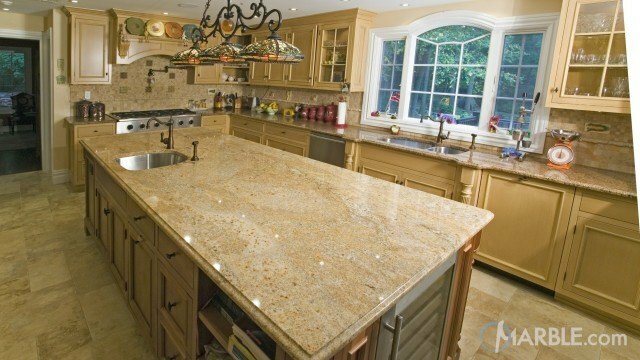 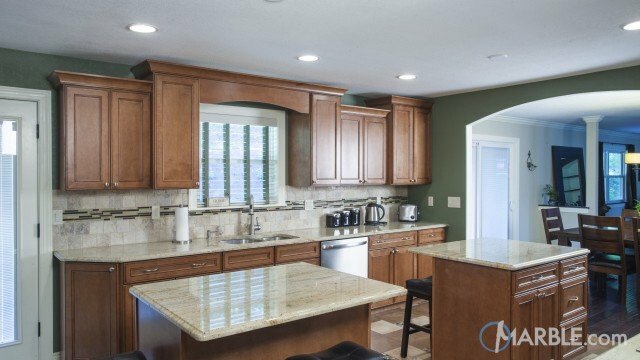 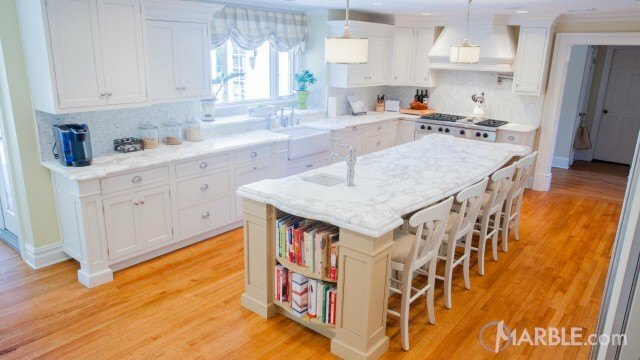 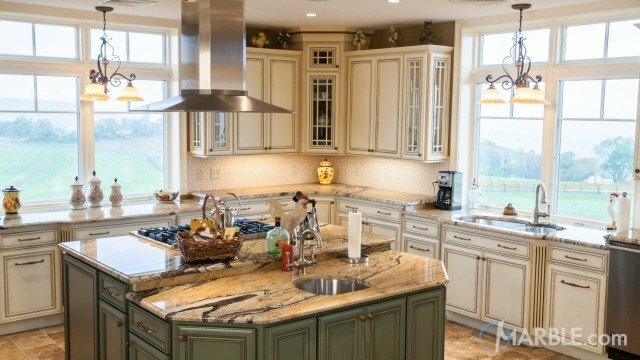 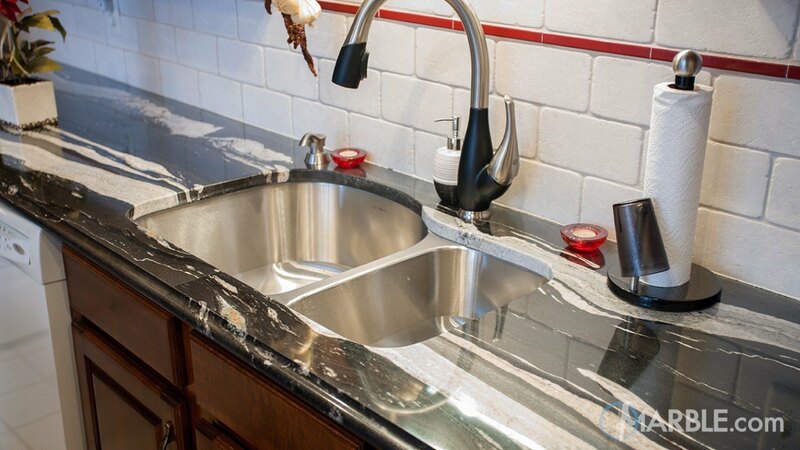 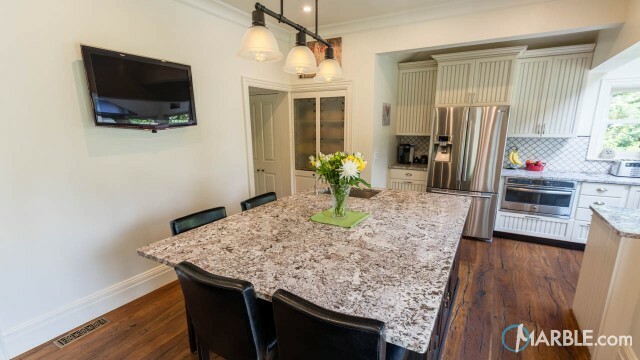 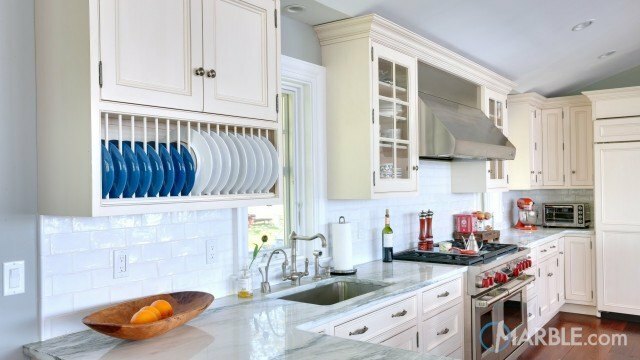 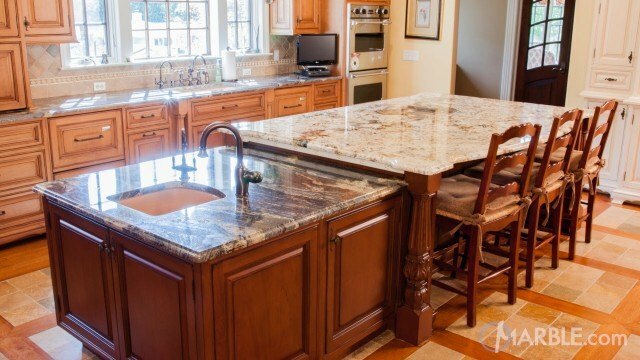 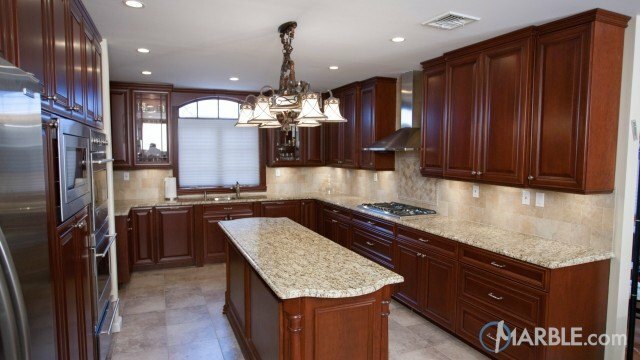 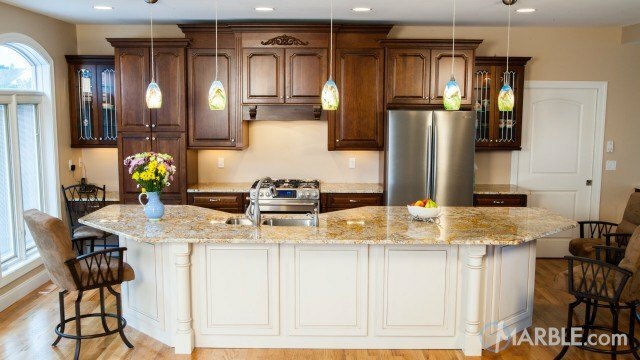 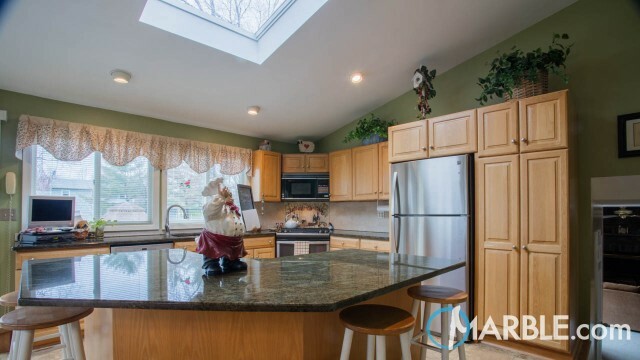 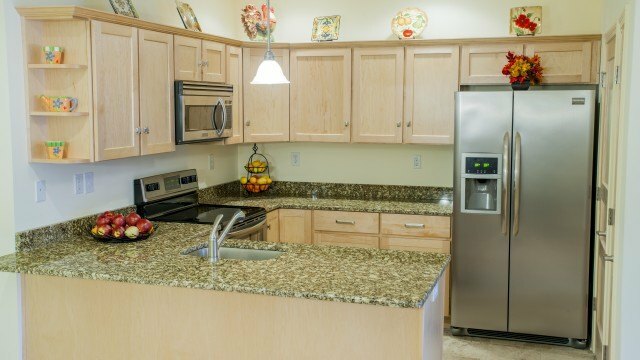 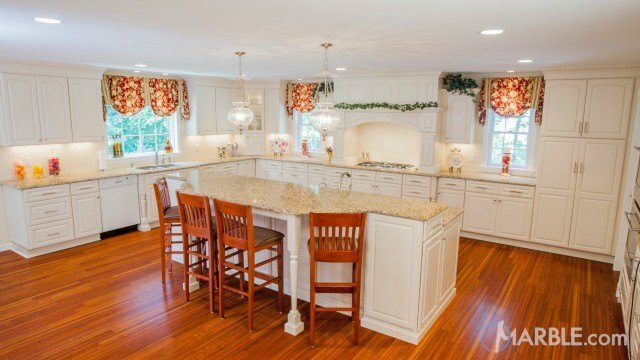 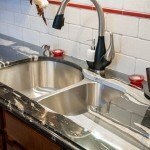 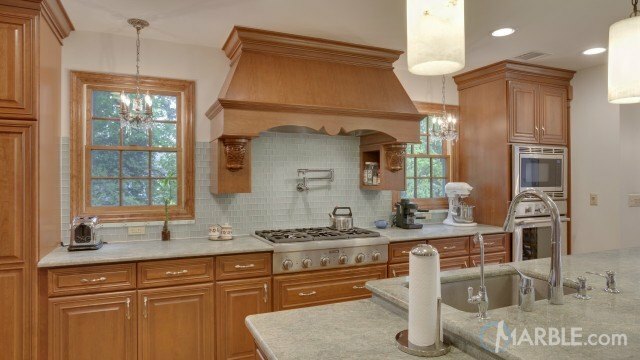 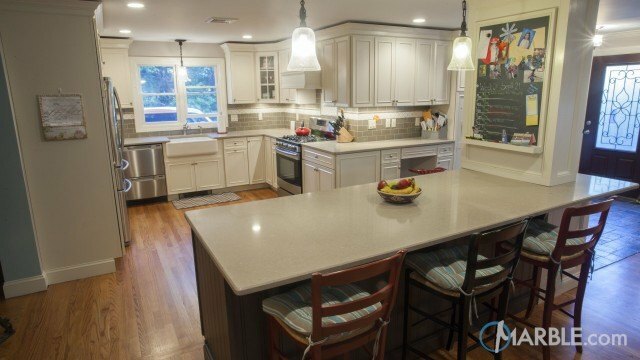 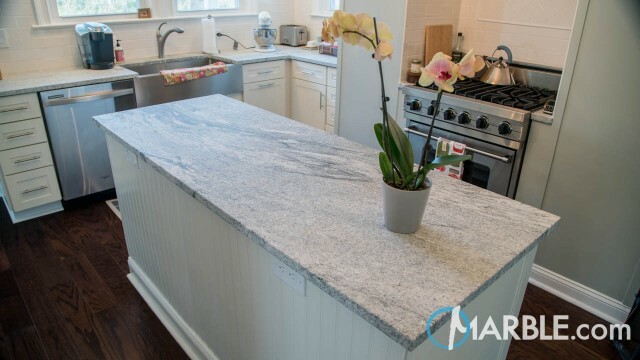 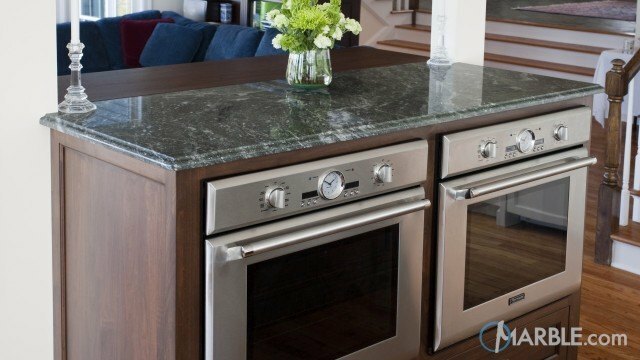 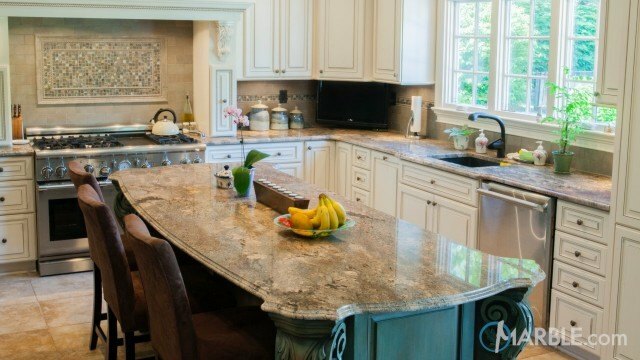 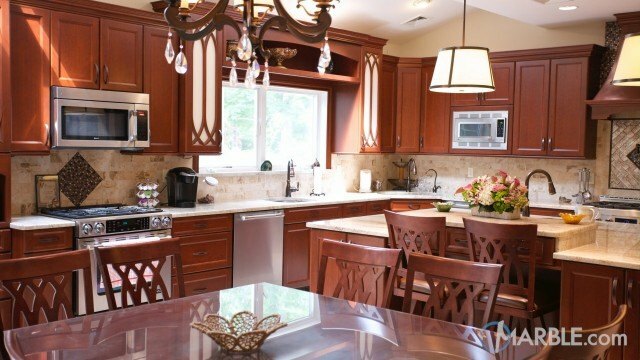 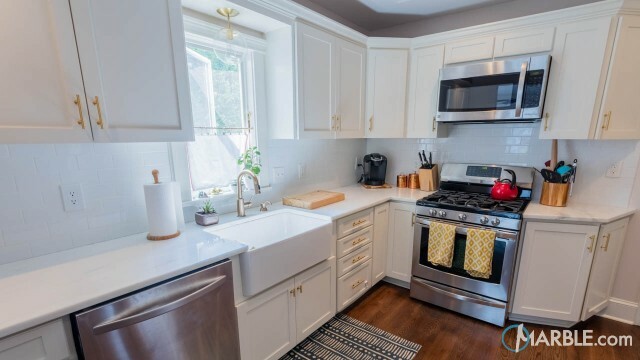 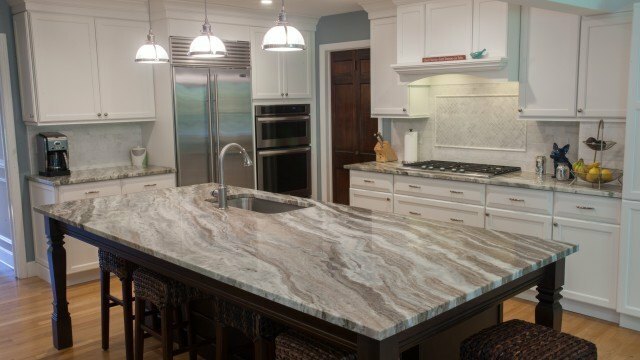 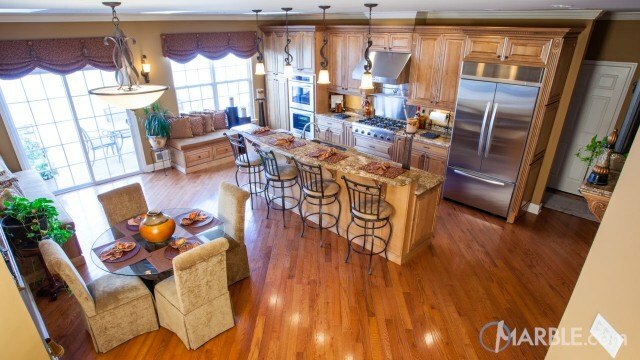 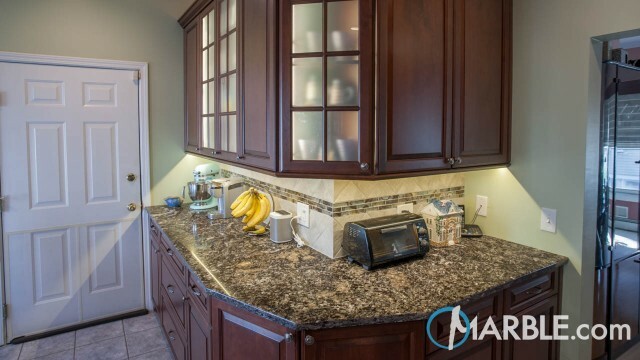 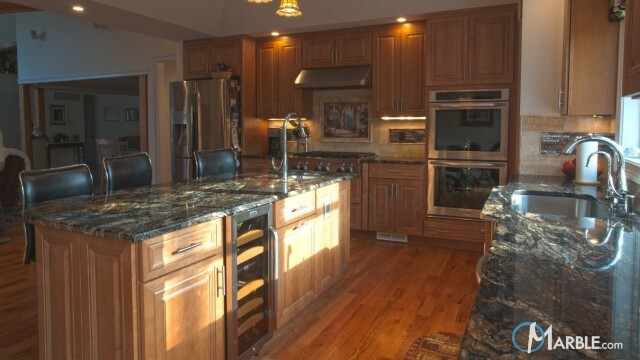 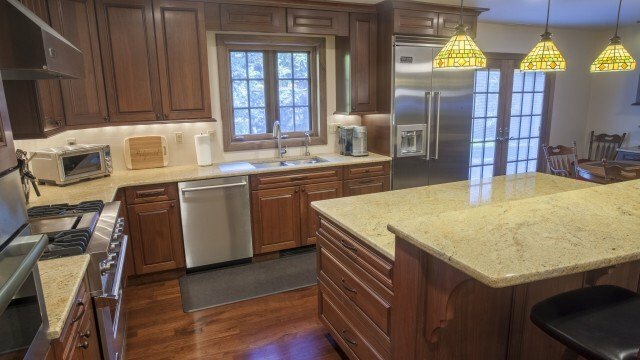 This granite counter top is perfect for all applications, such as kitchens, bathrooms, fireplaces, tubs, BBQ counters and more. 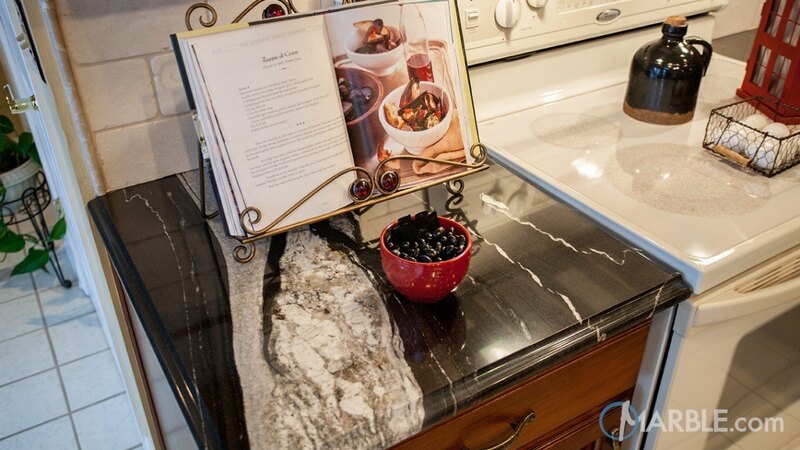 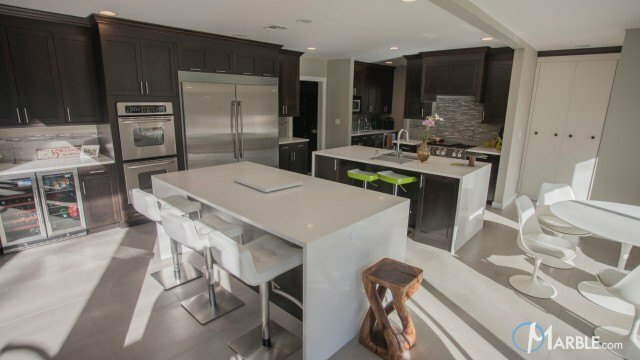 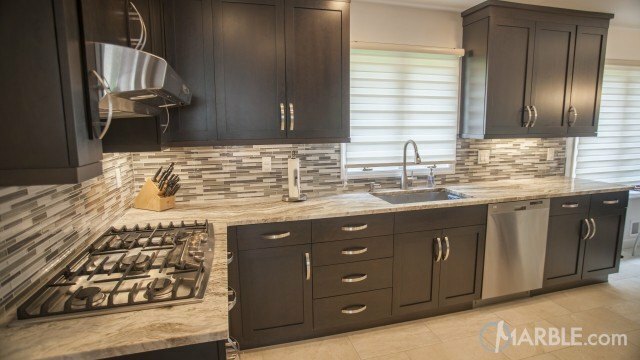 The black and white color scheme makes this natural stone an easy match for almost any color palette.